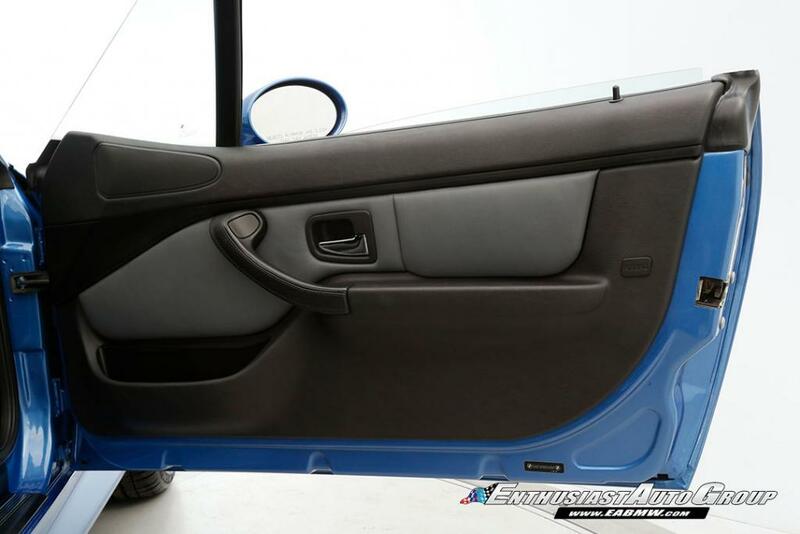 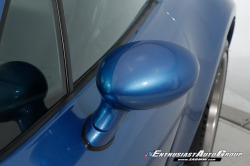 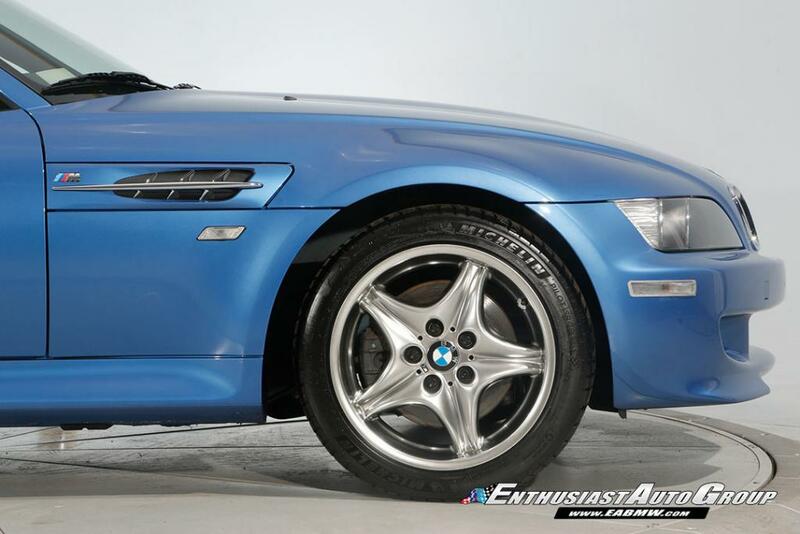 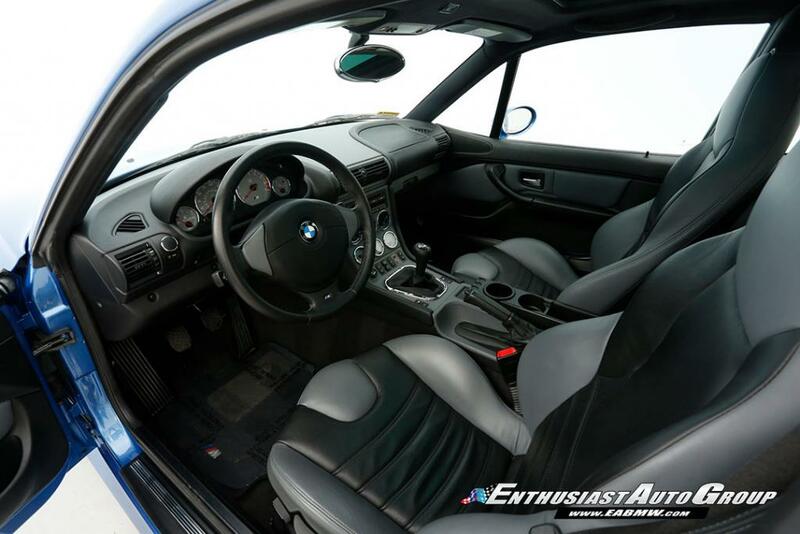 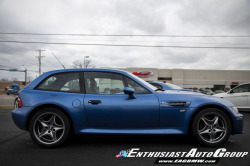 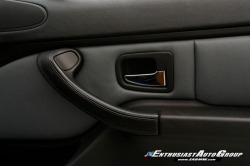 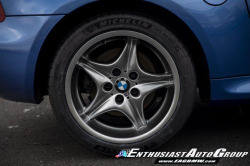 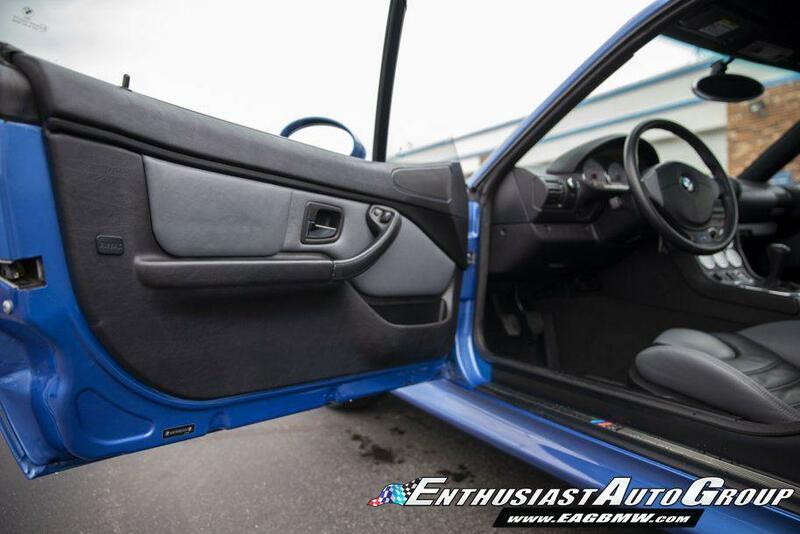 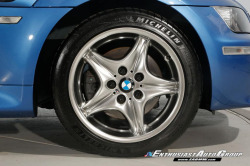 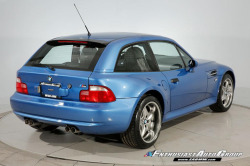 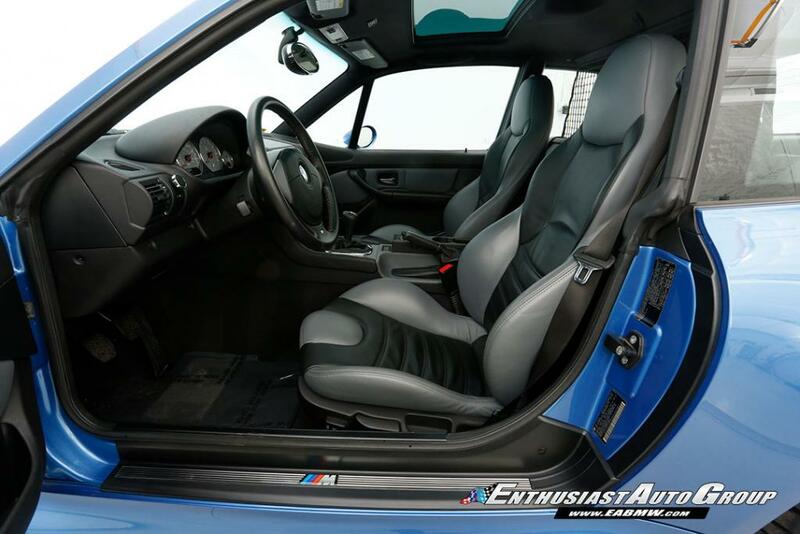 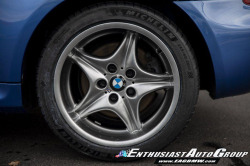 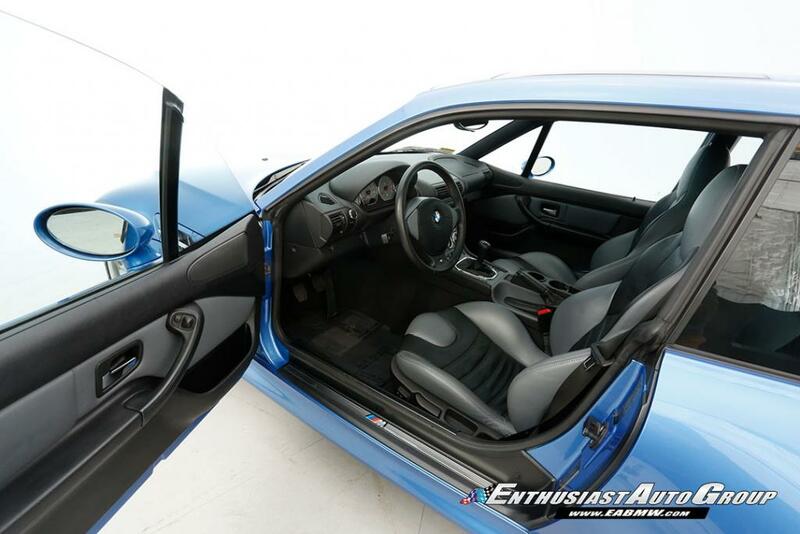 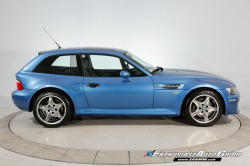 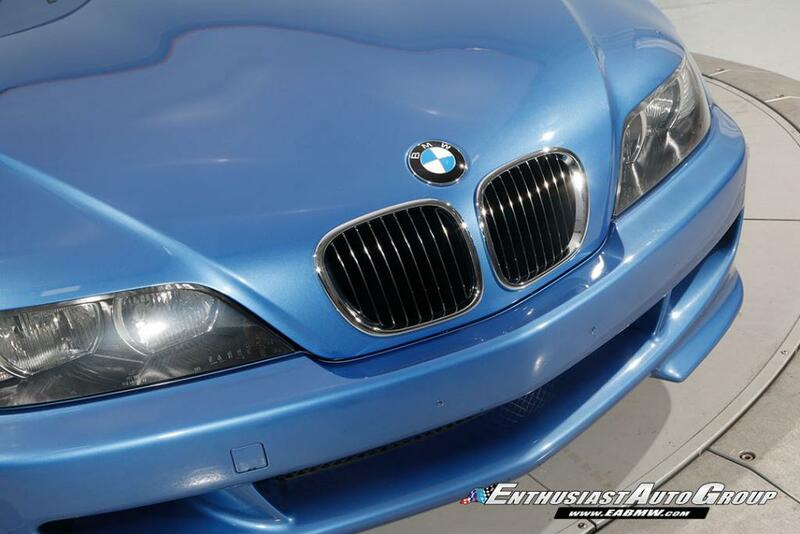 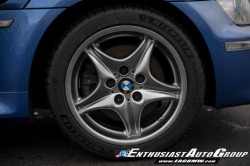 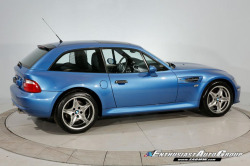 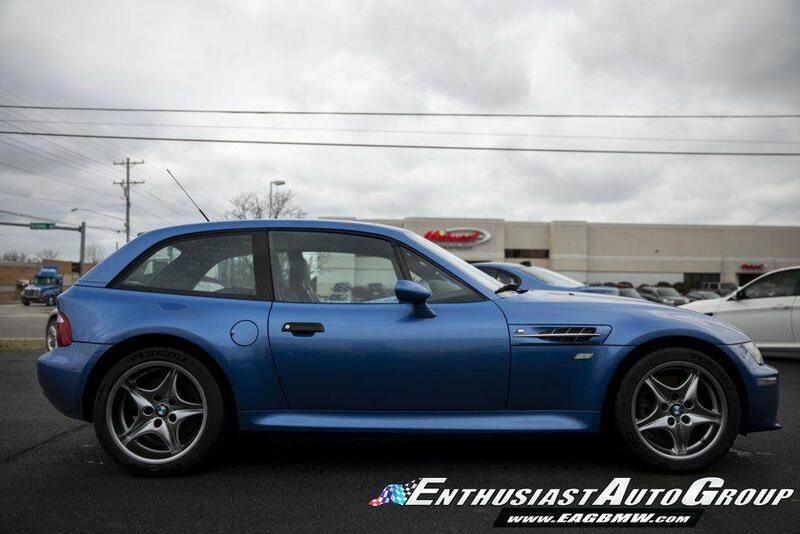 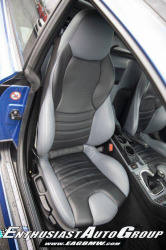 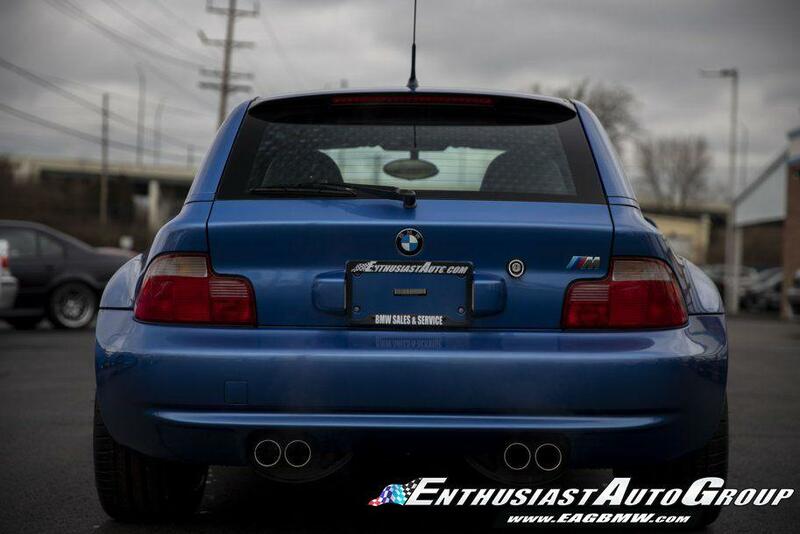 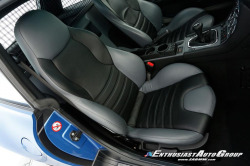 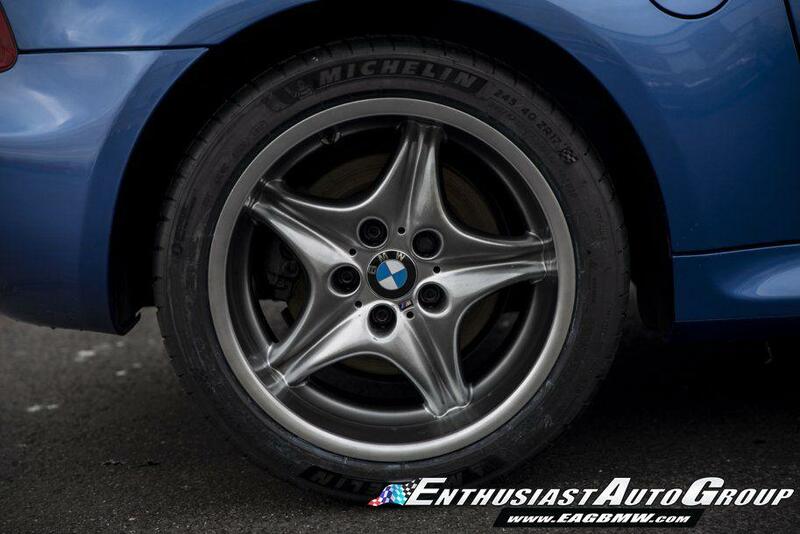 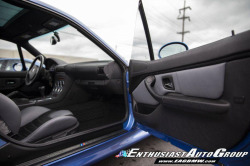 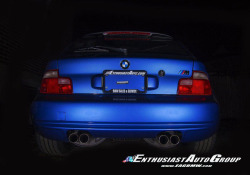 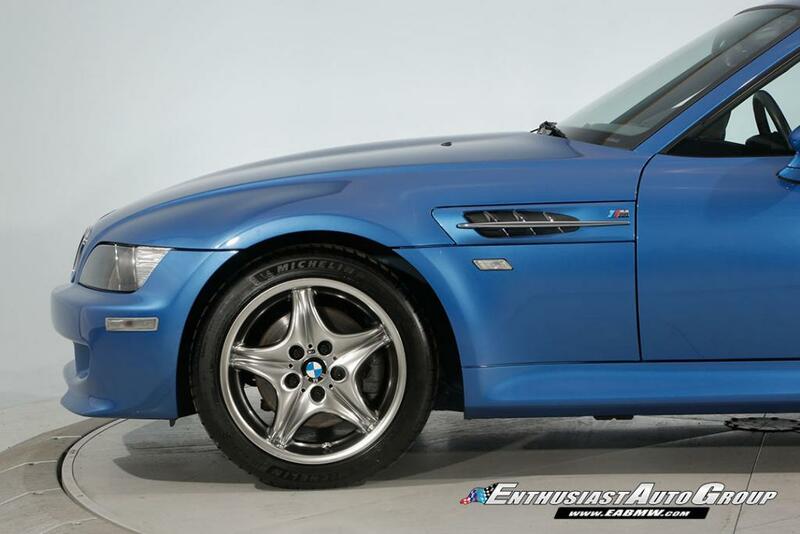 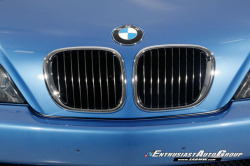 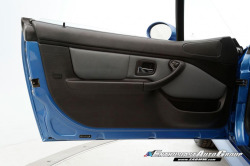 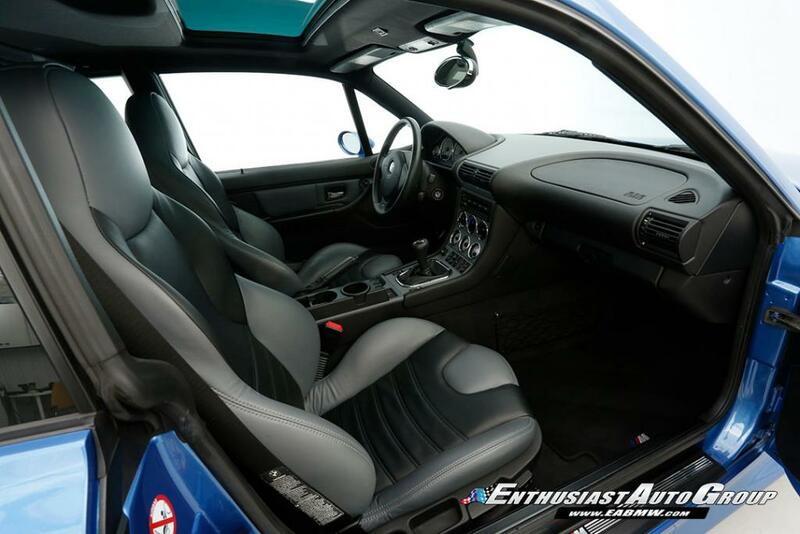 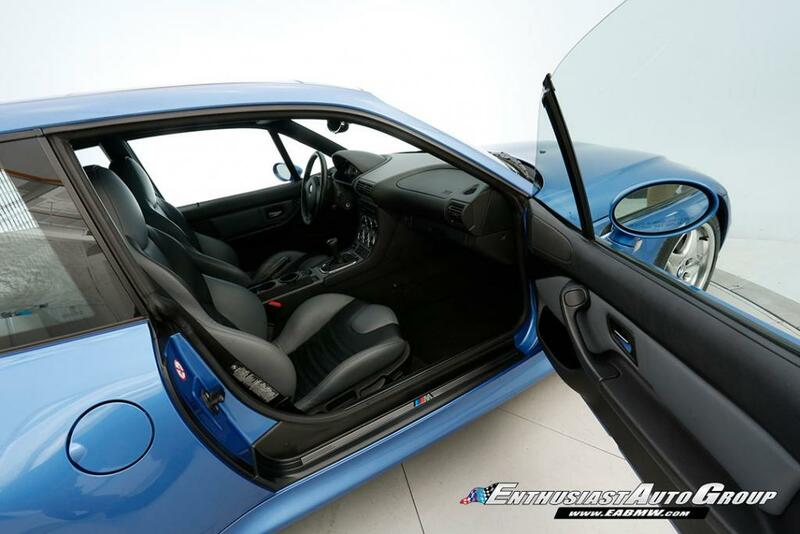 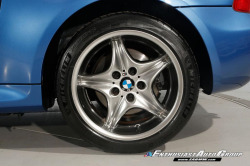 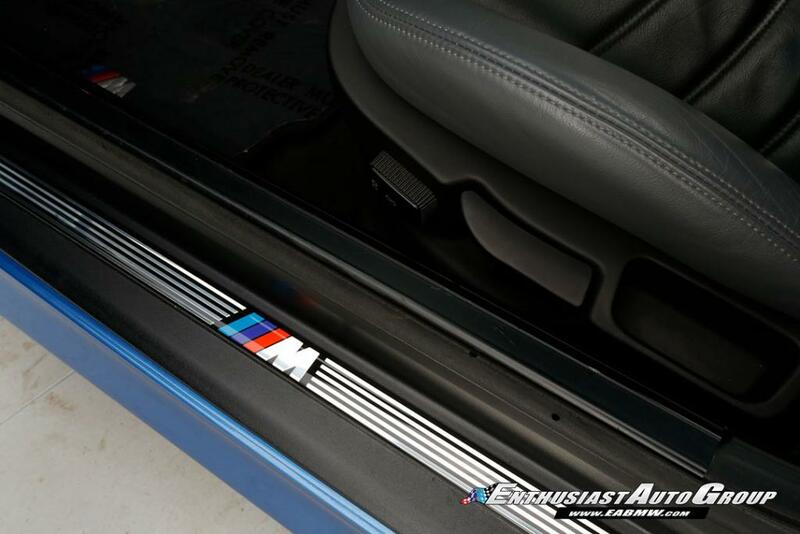 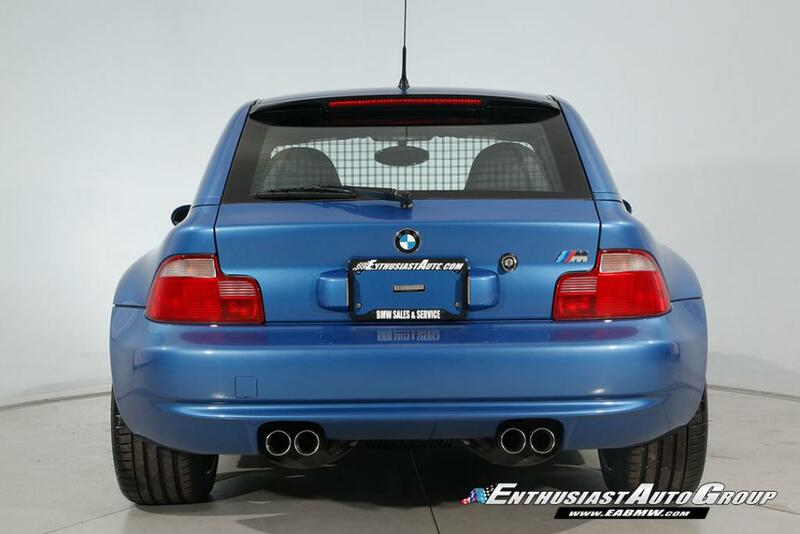 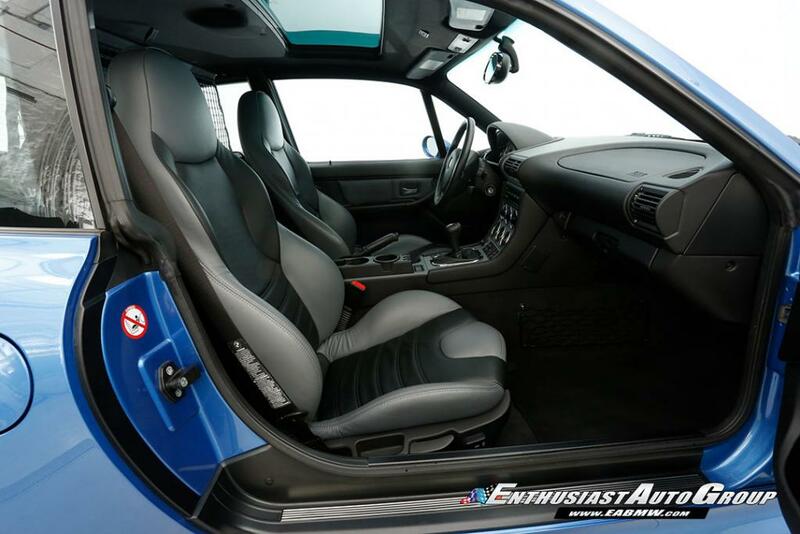 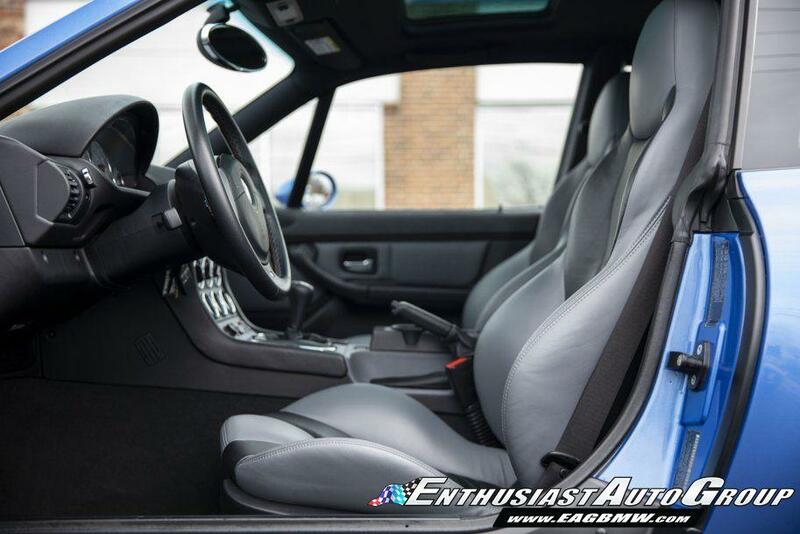 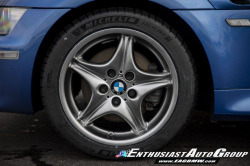 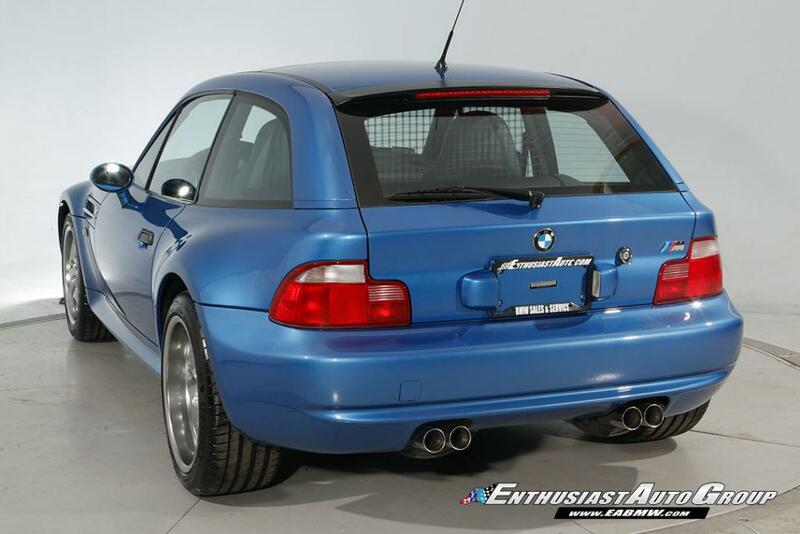 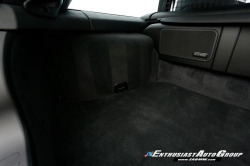 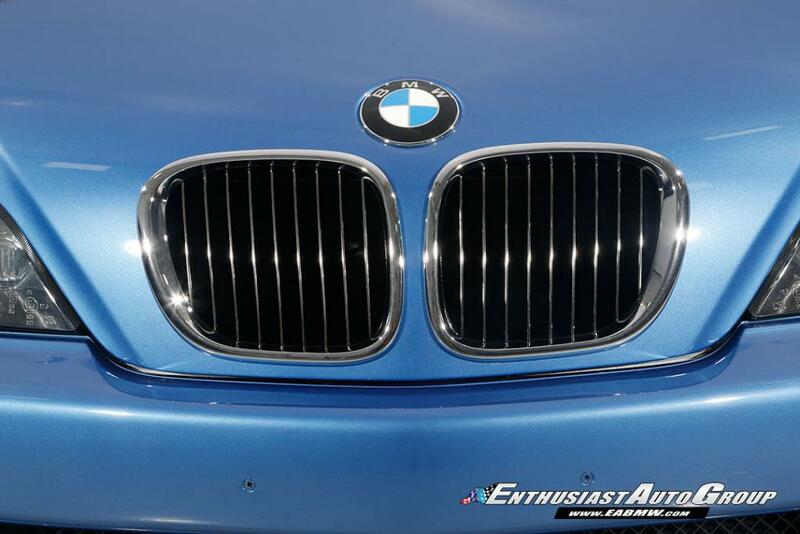 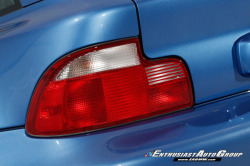 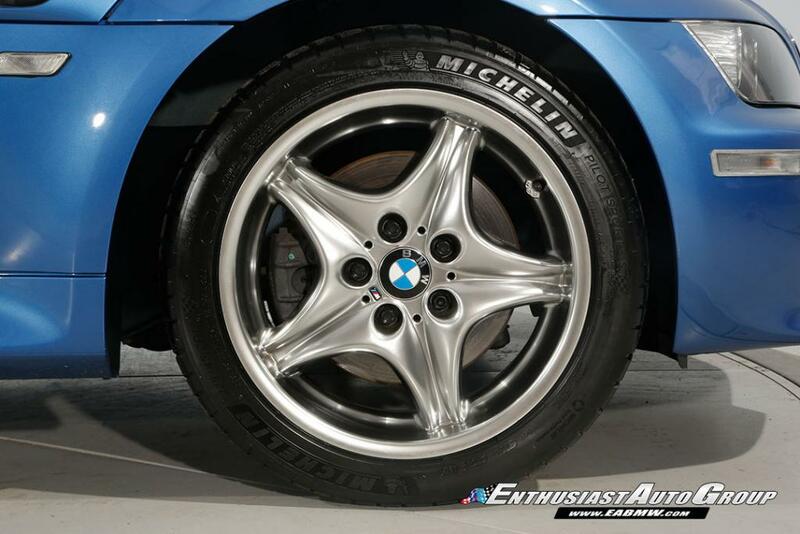 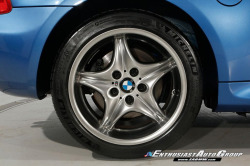 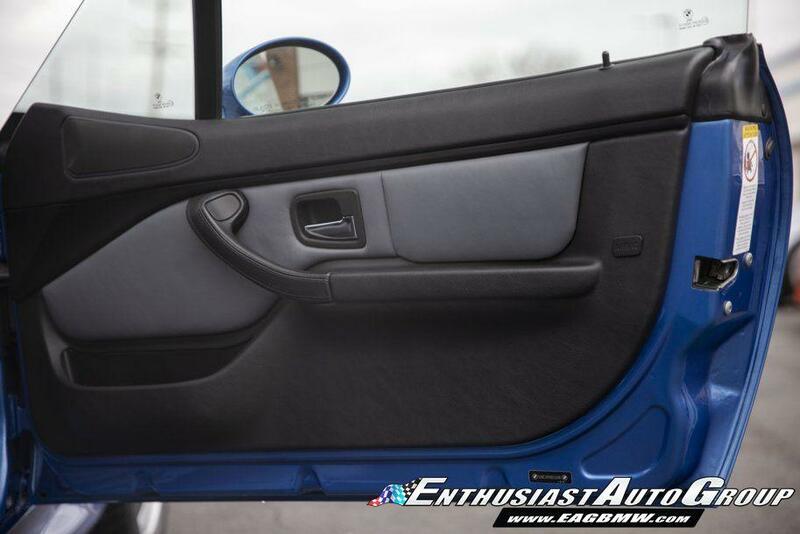 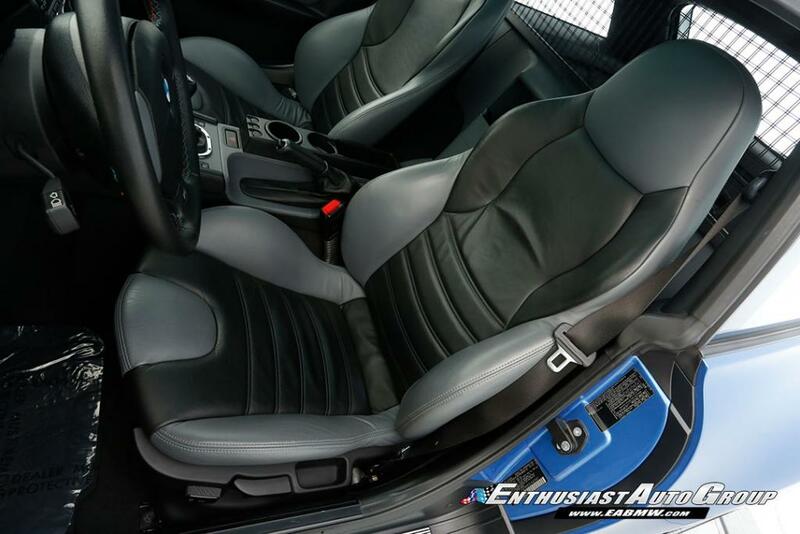 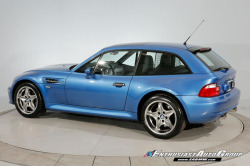 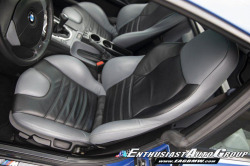 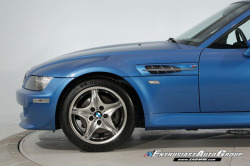 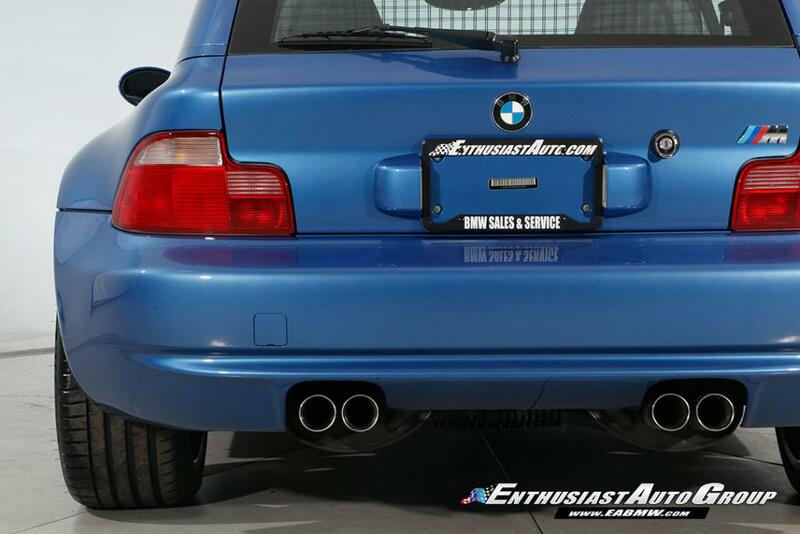 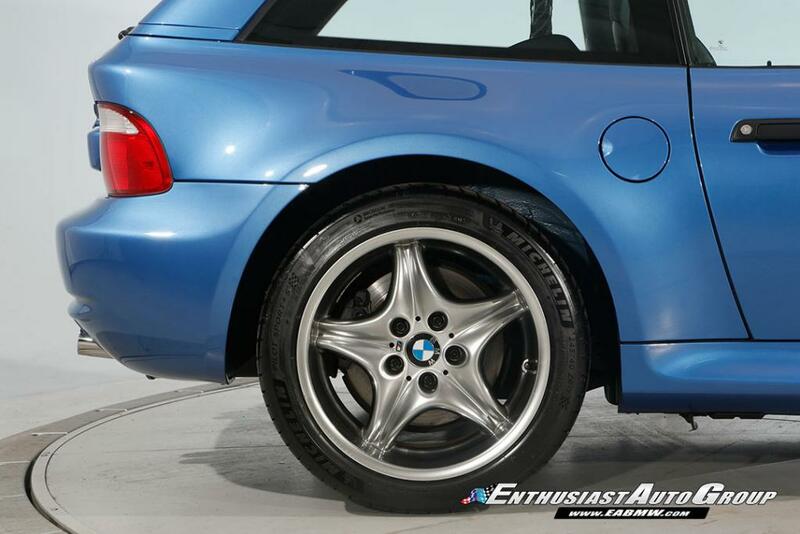 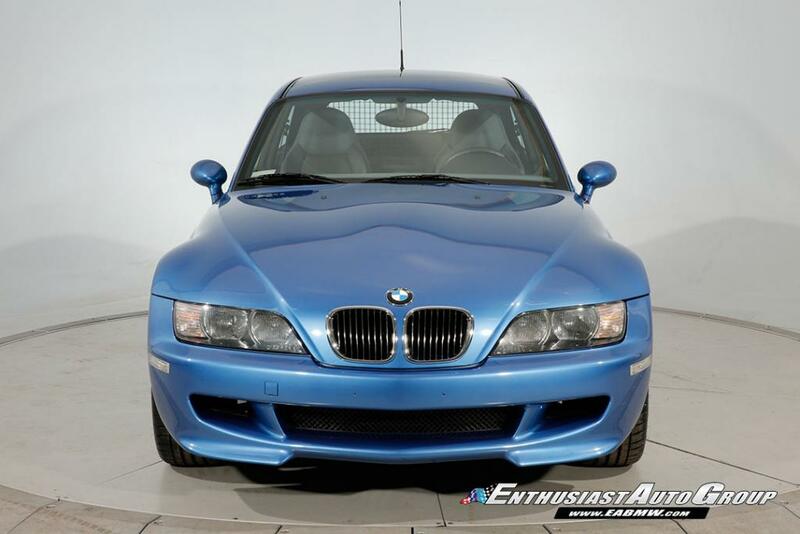 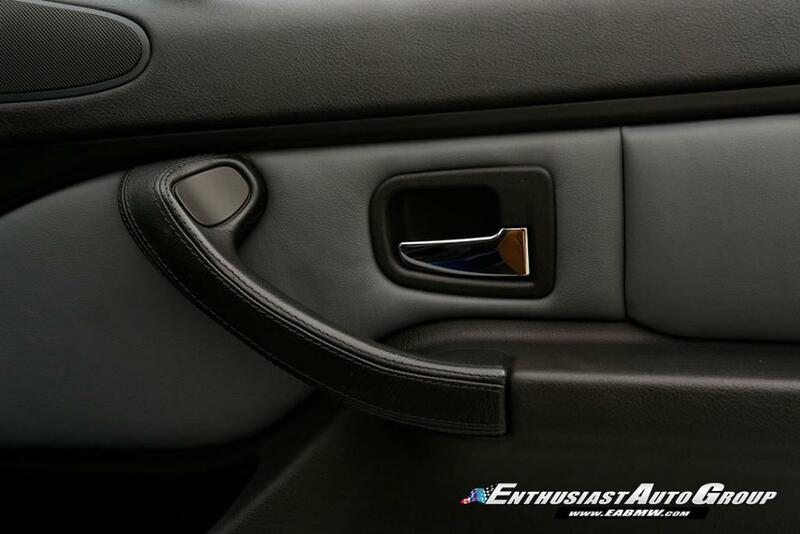 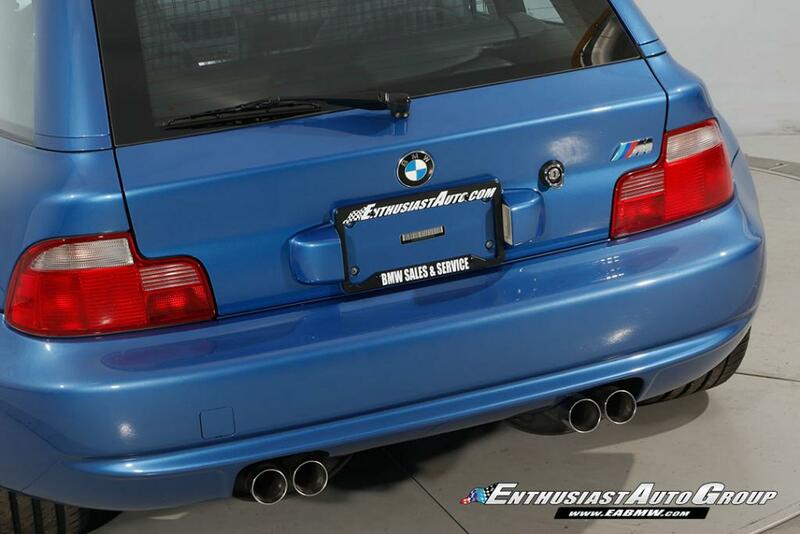 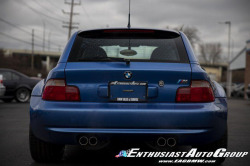 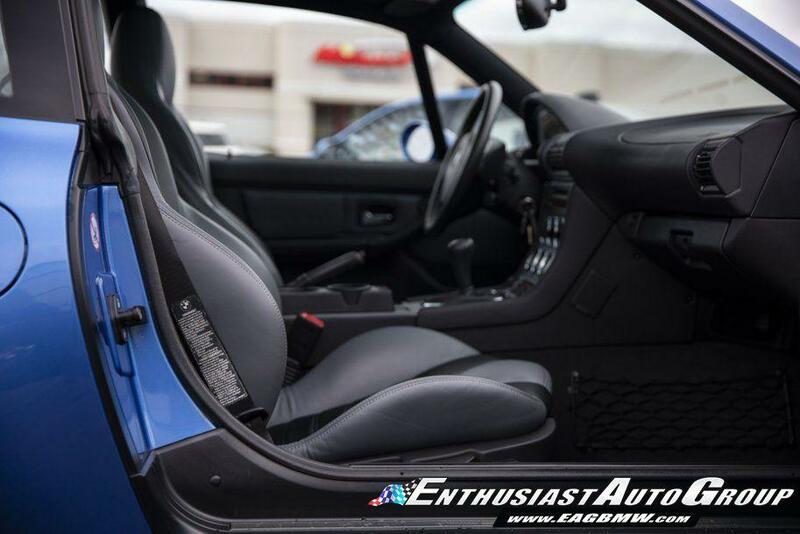 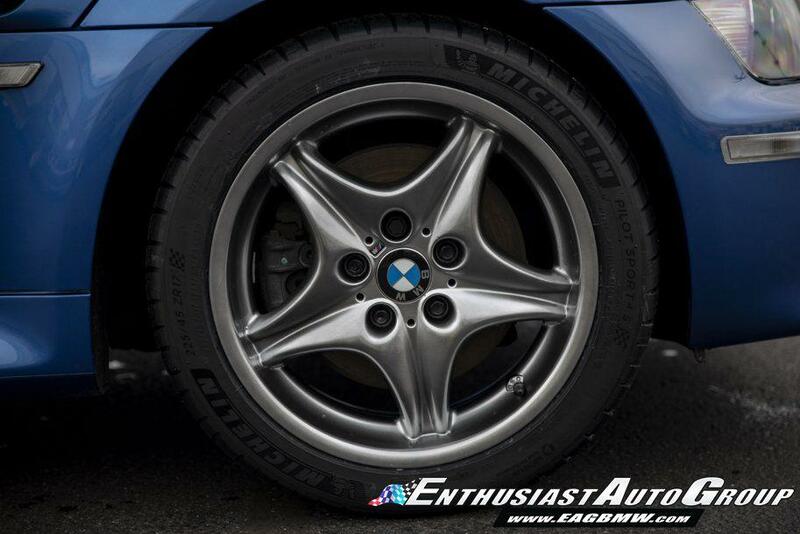 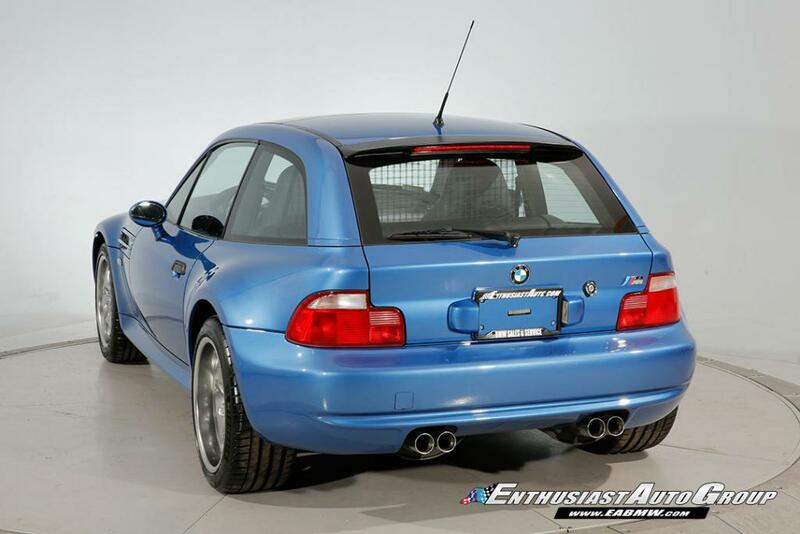 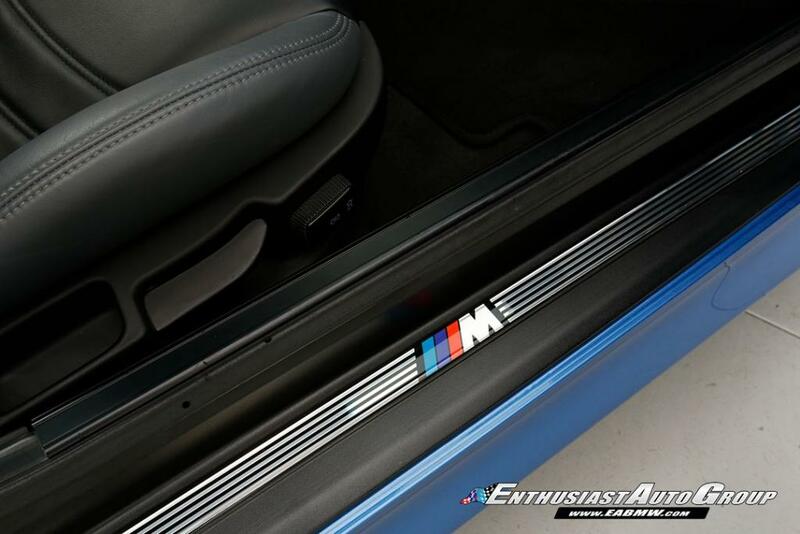 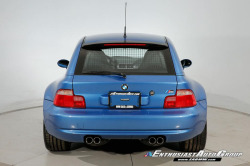 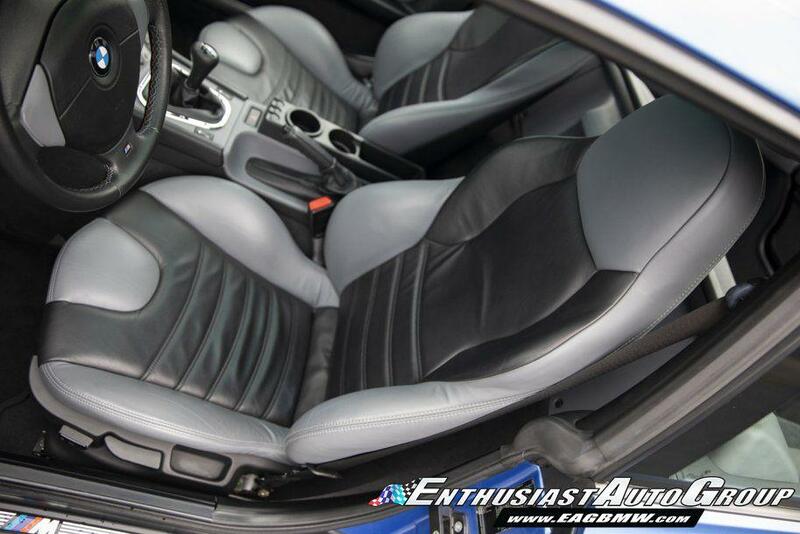 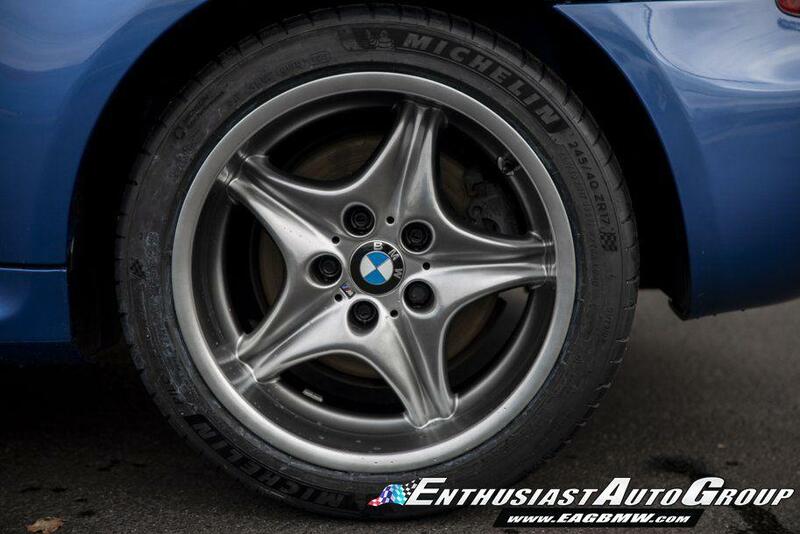 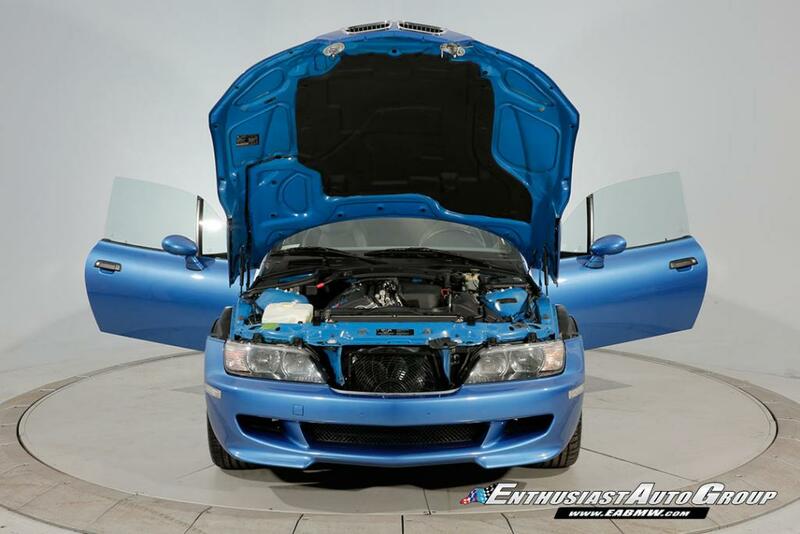 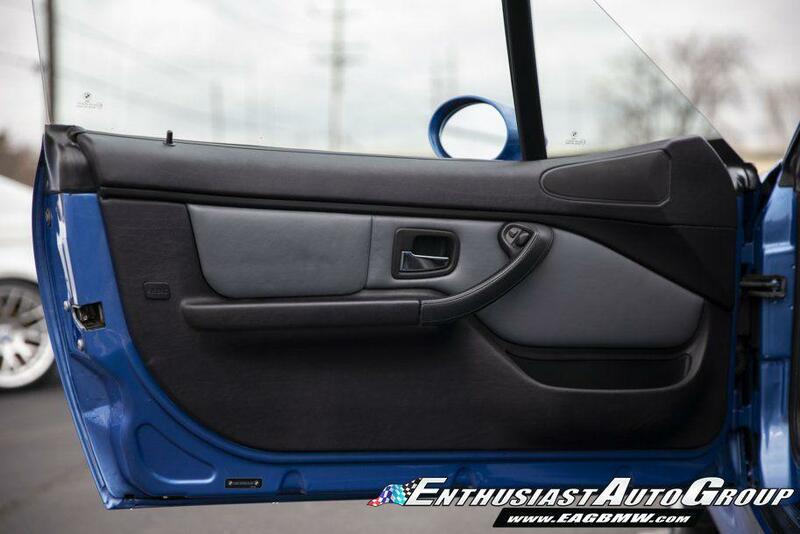 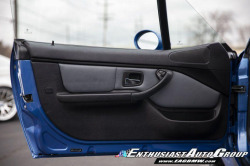 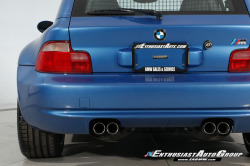 Estoril Blue over Black and Grey 2-Tone Leather, Absolutely Stunning, Investment-Grade S54 M Coupe! 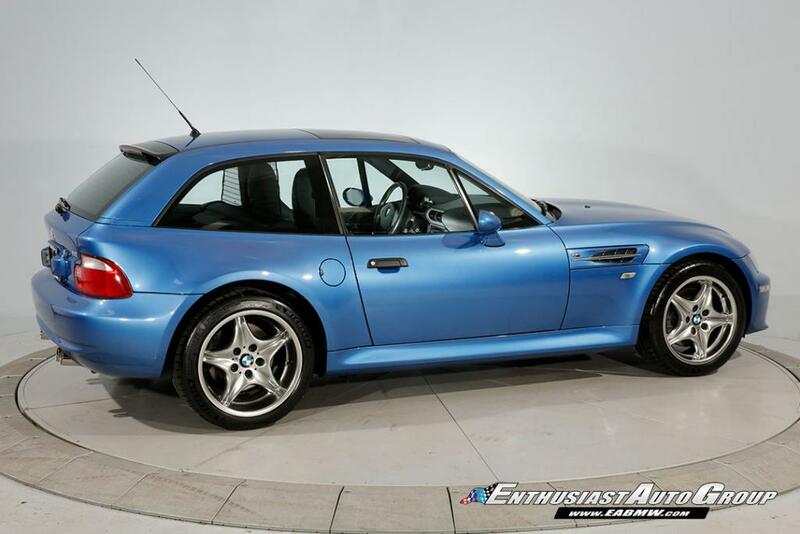 This Survivor has an Extremely Rare Color Combination, 1 of only 6 S54 M Coupes built during the final year of Z3 M production! All Original Paint and Panels with VIN Tags Intact! 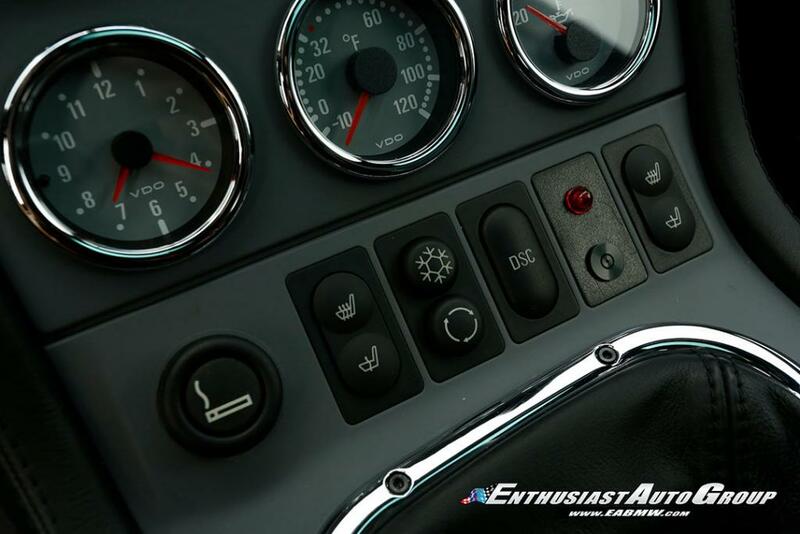 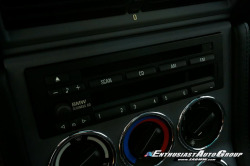 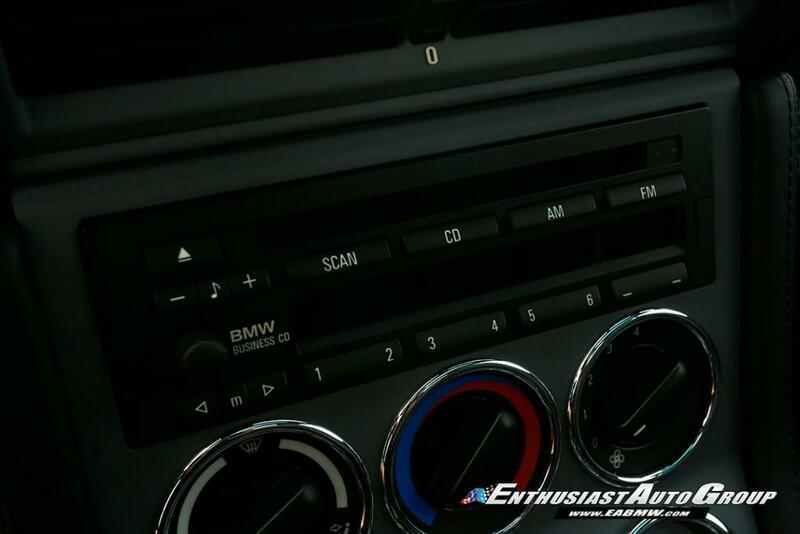 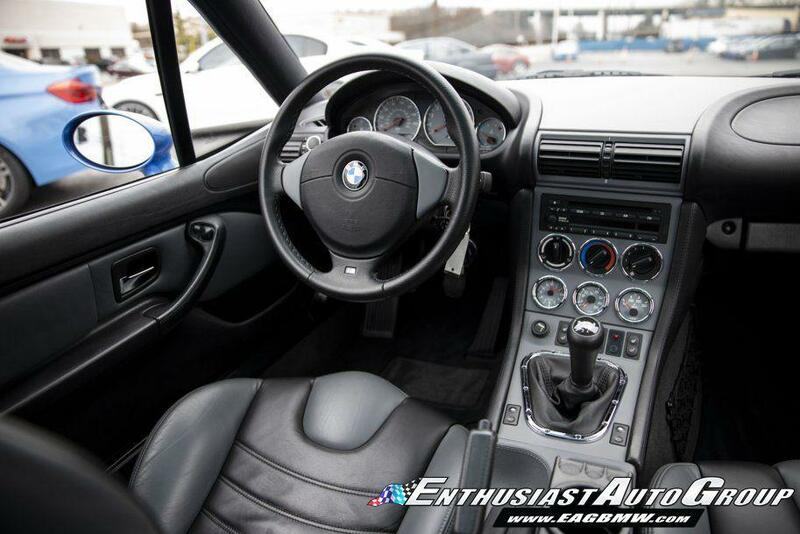 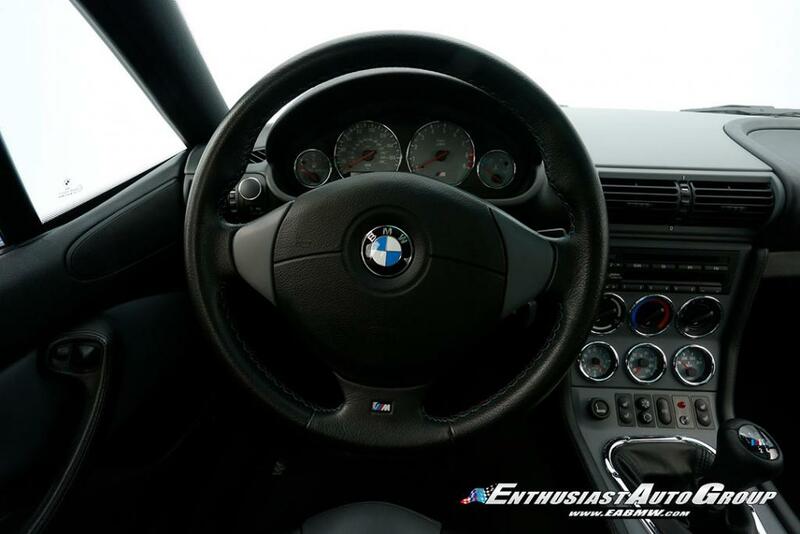 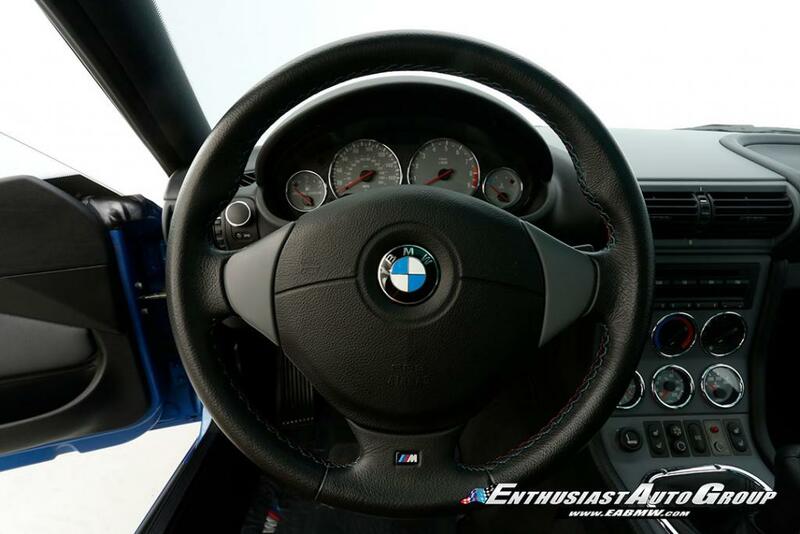 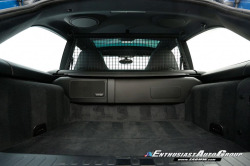 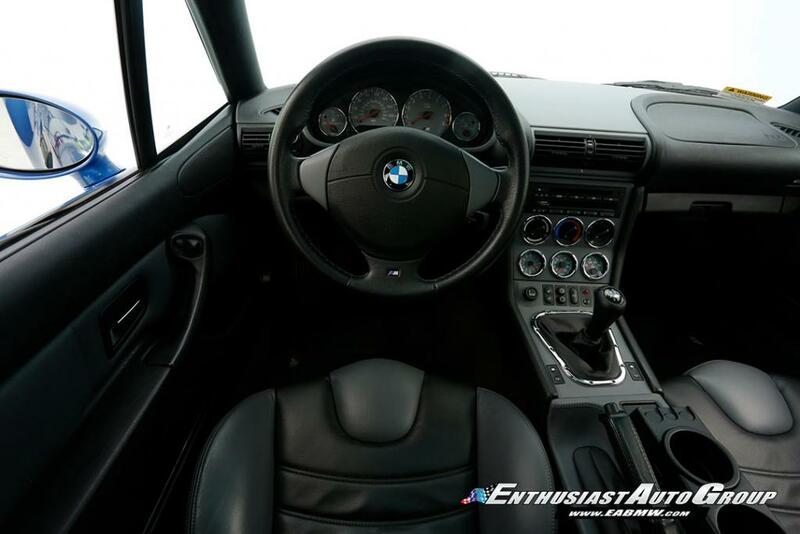 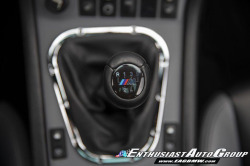 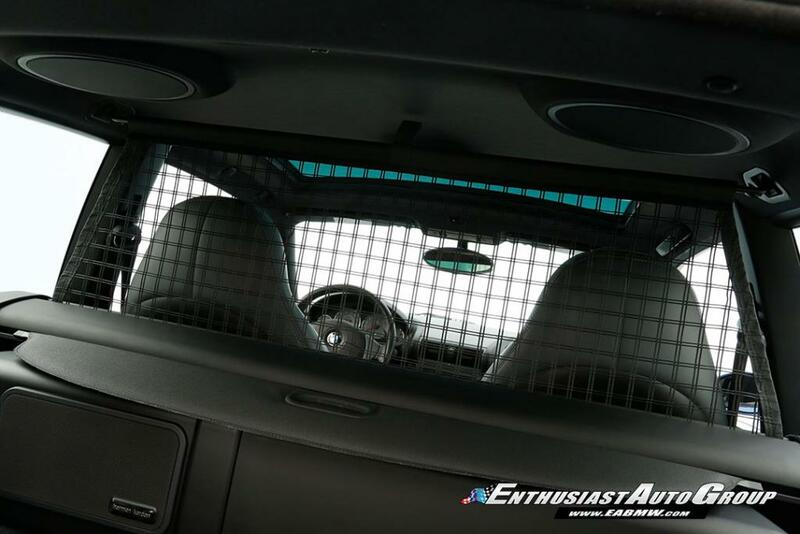 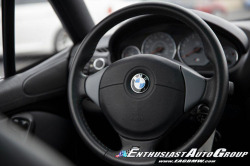 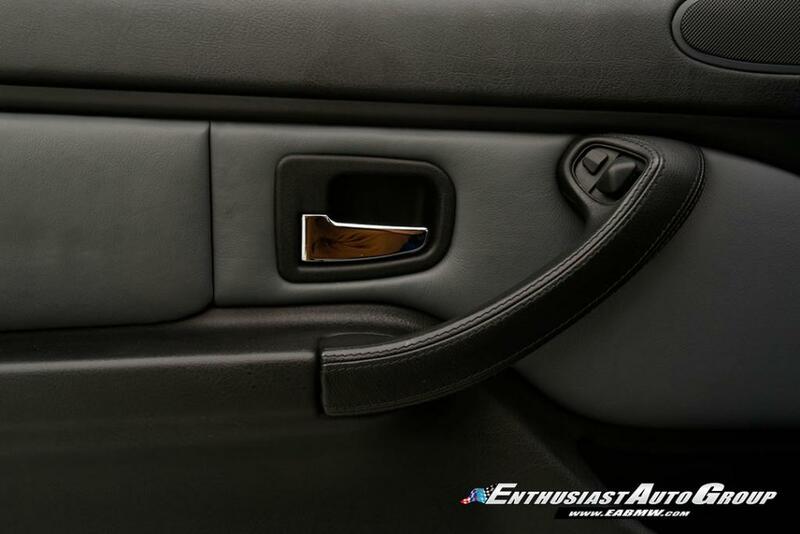 BMW Factory Equipment Includes an In-Dash CD43 Business Class CD Player, Harmon Kardon Audio, Heated Seats, Power Flip-up Moonroof, Power Seats, Power Windows and Door Locks. 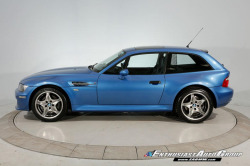 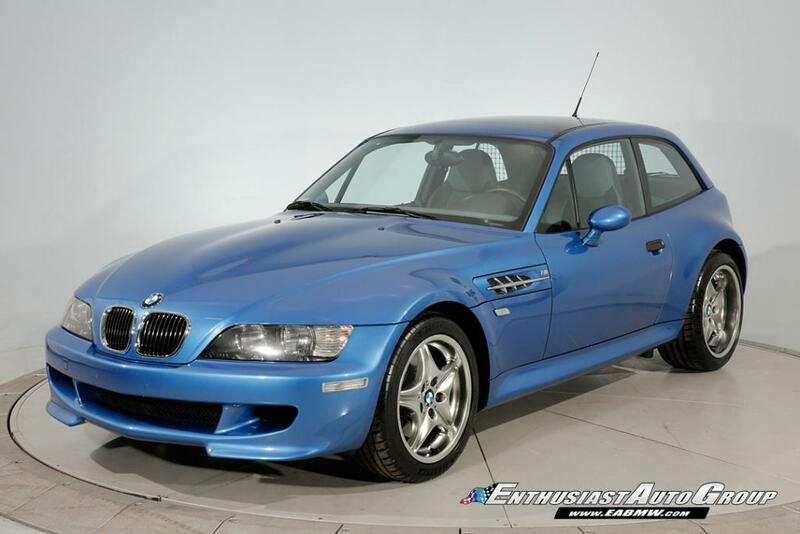 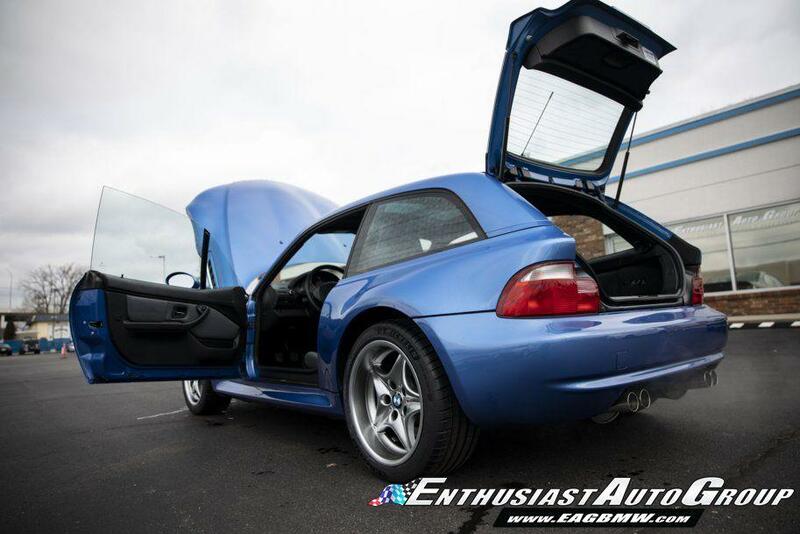 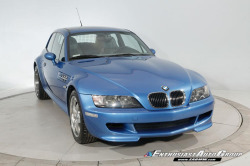 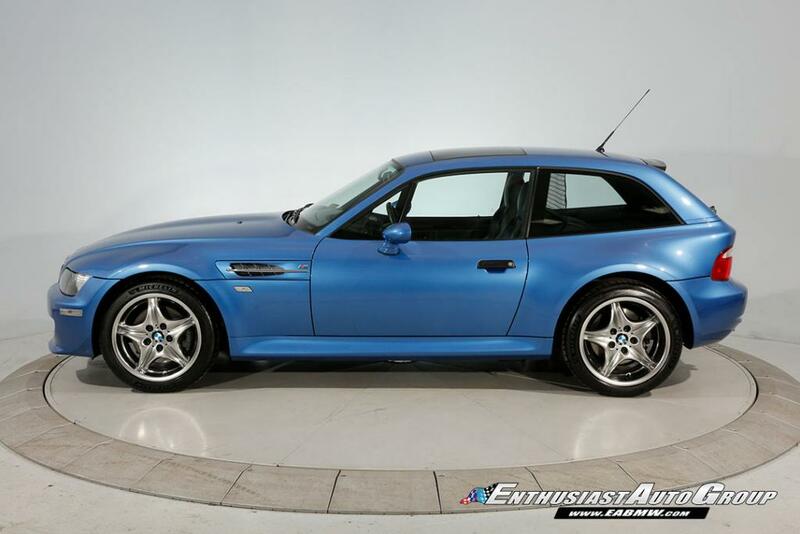 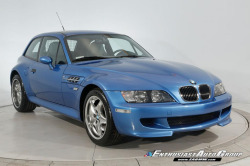 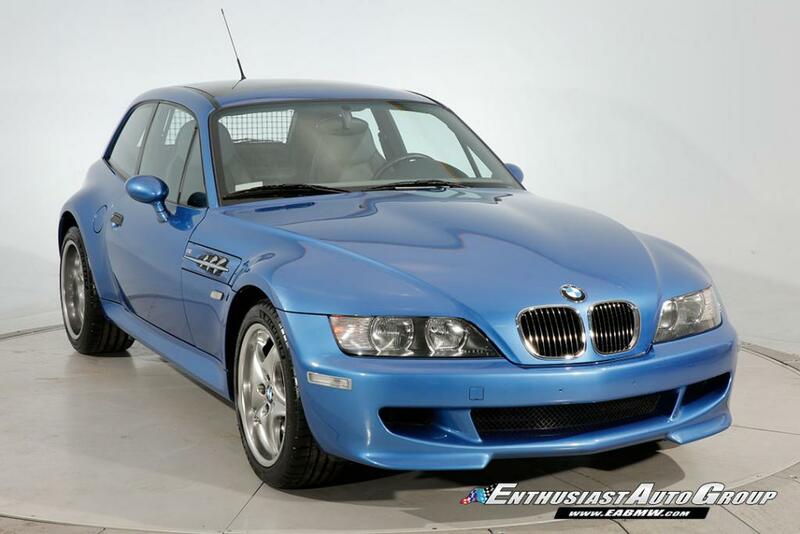 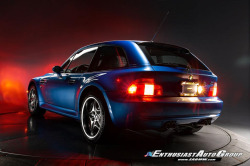 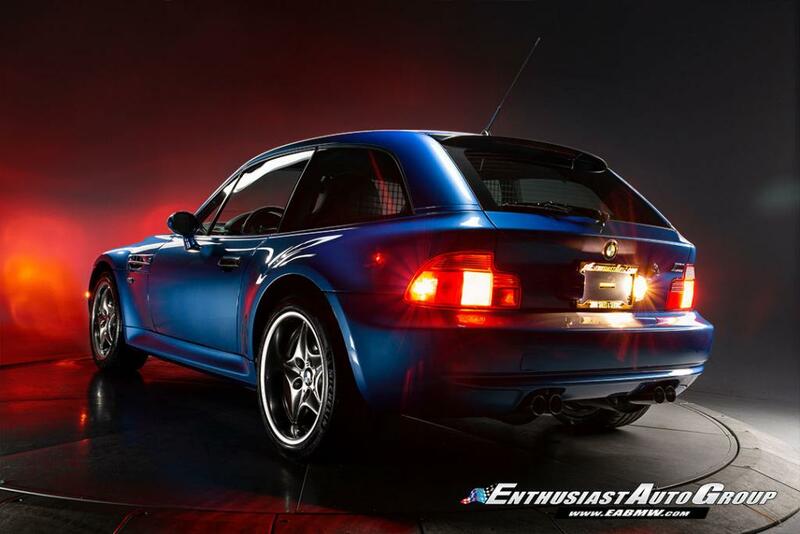 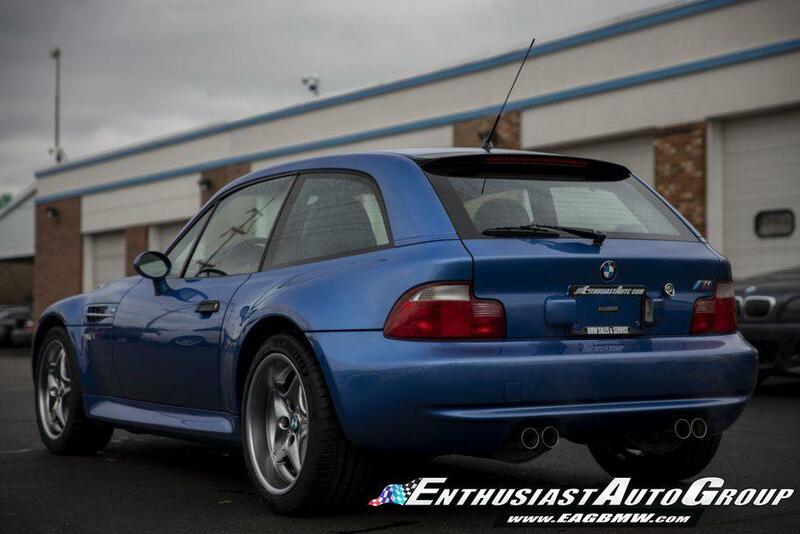 This top-tier M Coupe is among the nicest examples EAG has acquired, the condition is stunning! 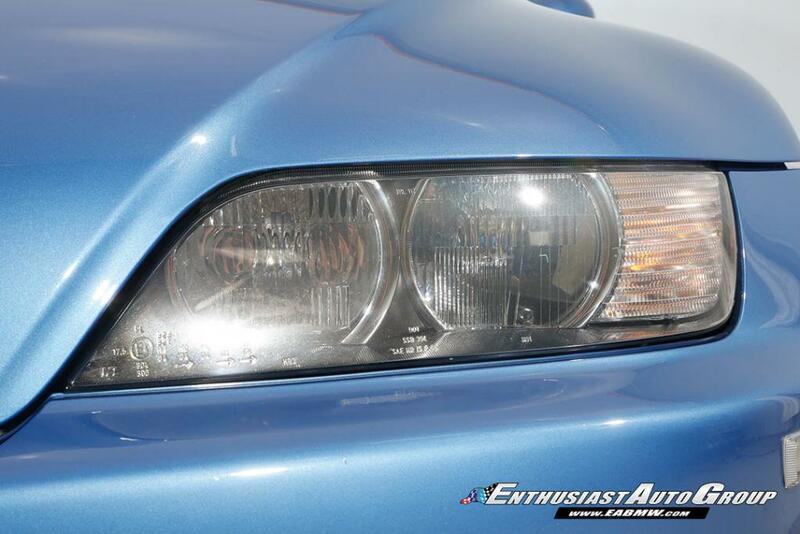 The exterior paint is all original that shows awesome with no notable cosmetic imperfections or blemishes! 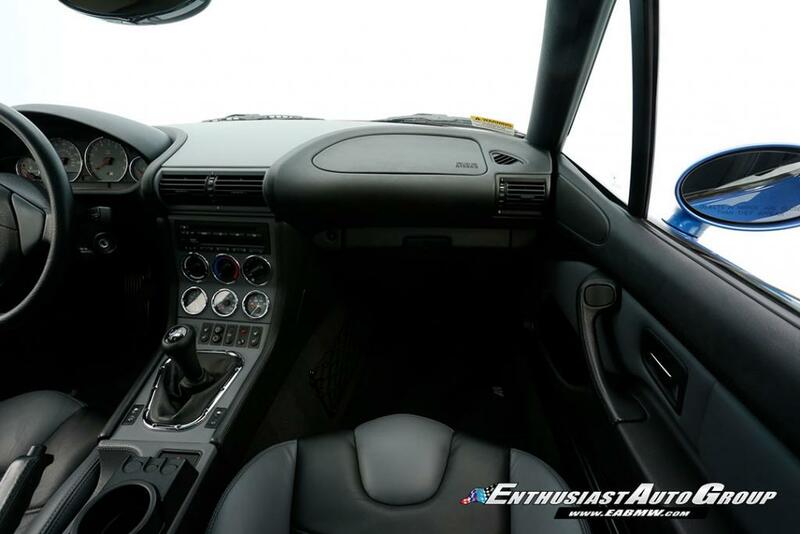 The interior is extremely well-preserved that remains in near-new condition without notable imperfection or visible wear areas. 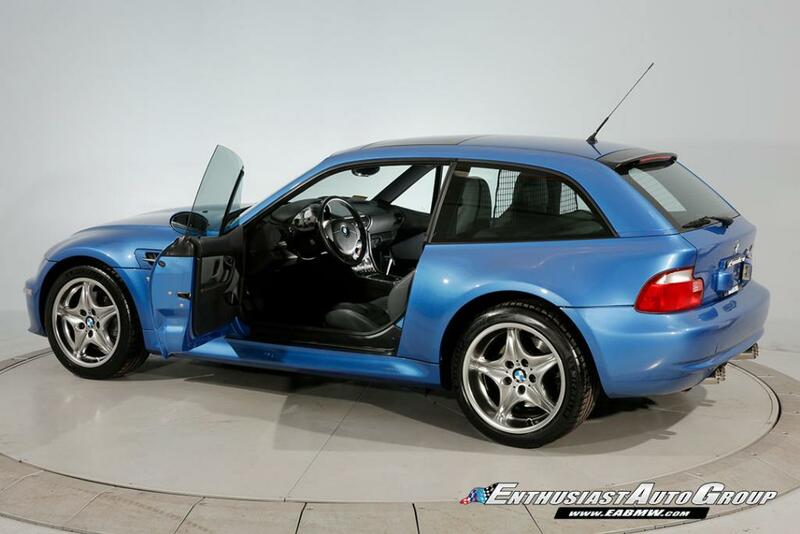 This car has always been garage-kept and never seen inclement weather, therefore, it has a spotless body and undercarriage, photos on file. 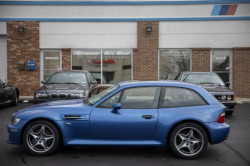 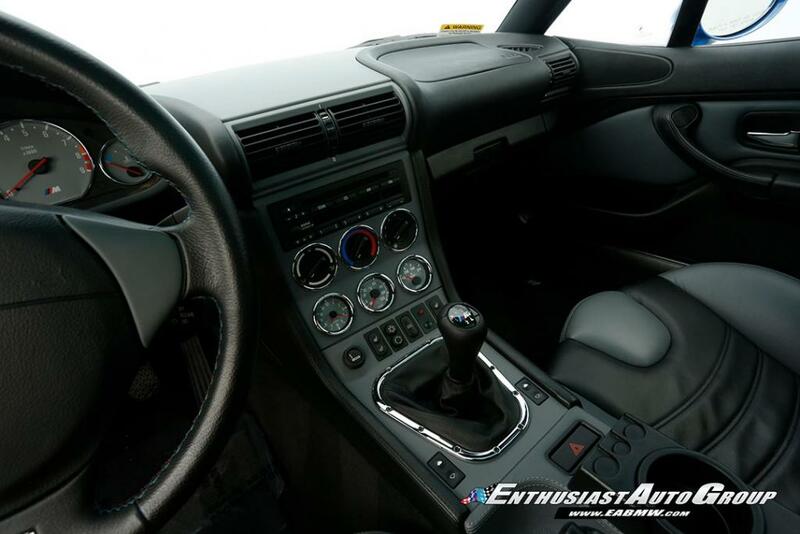 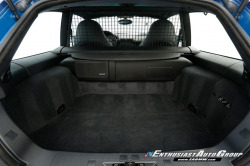 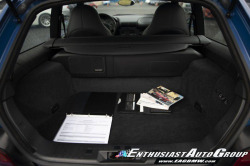 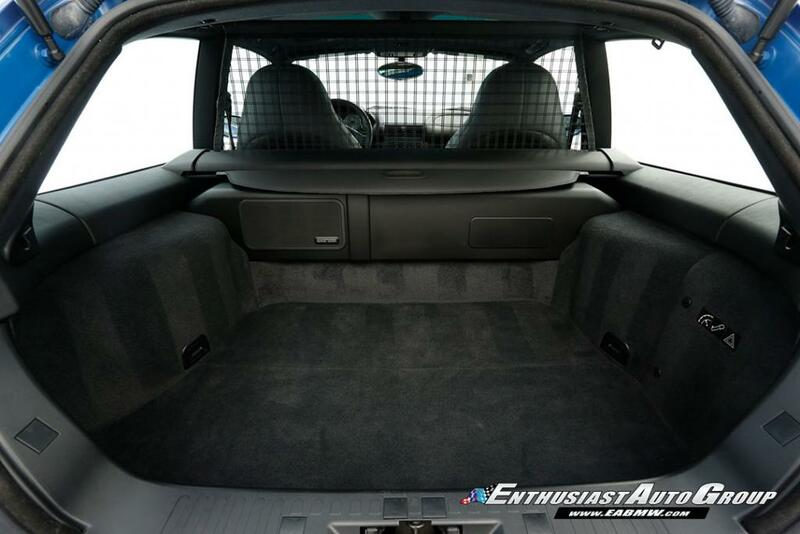 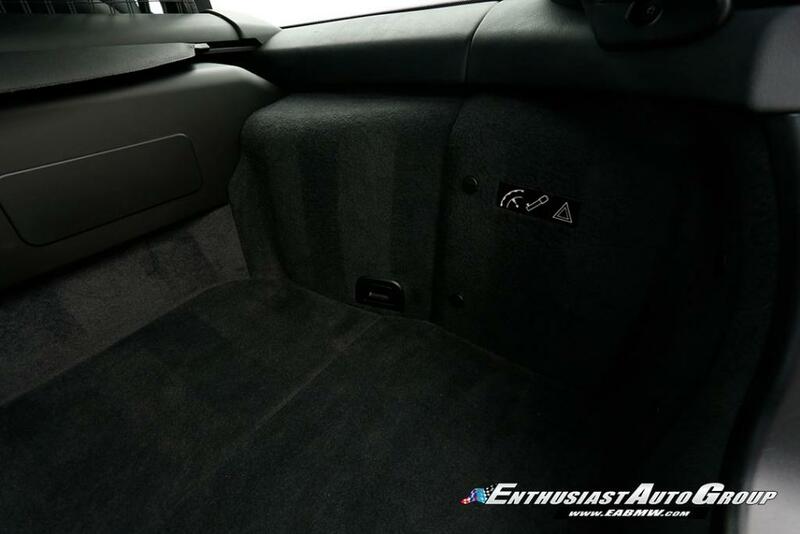 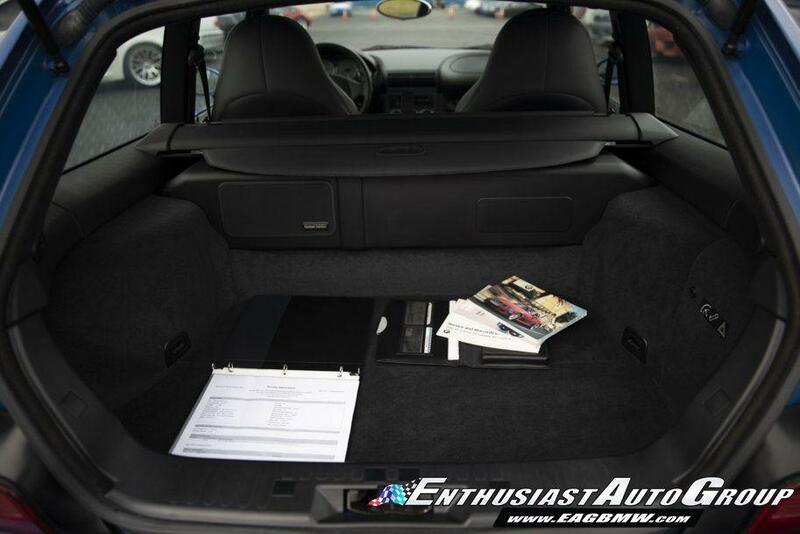 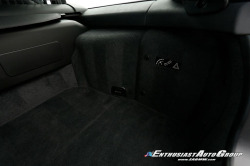 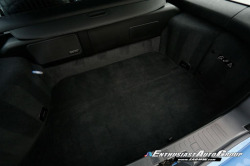 EAG sourced this Shooting Brake from the 3nd owner who had owned the car since 2005. 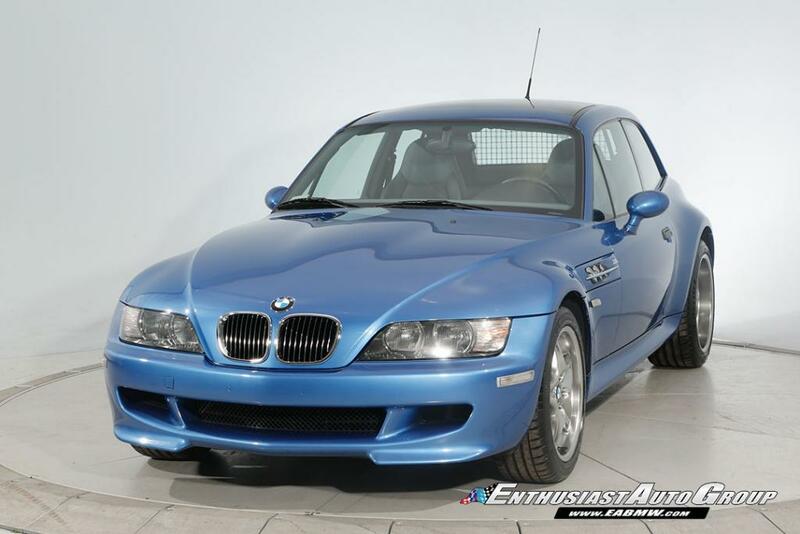 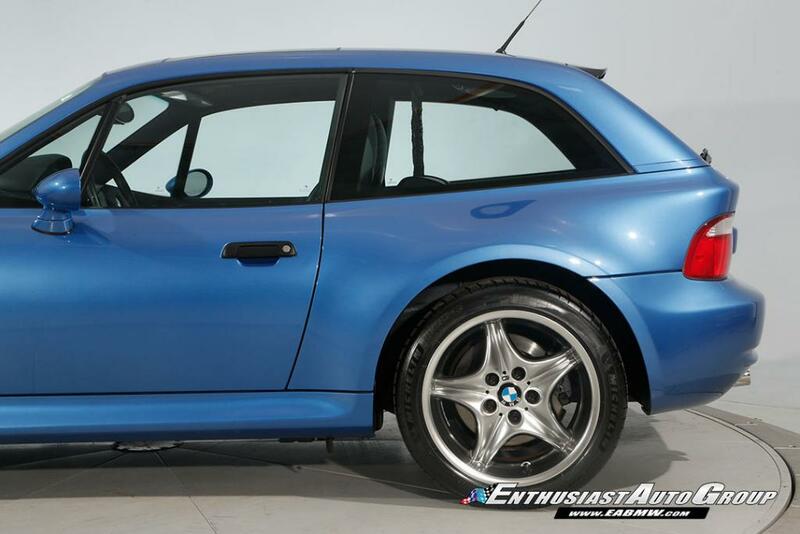 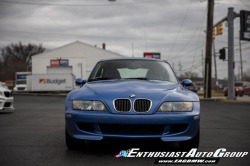 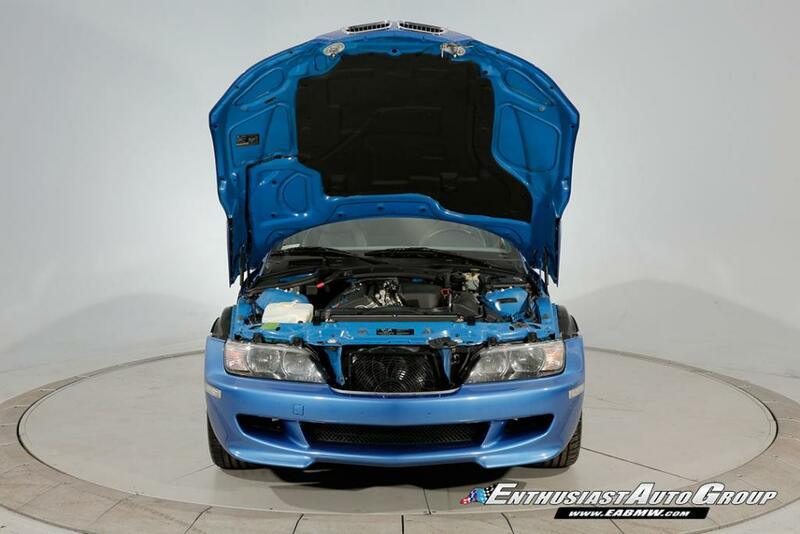 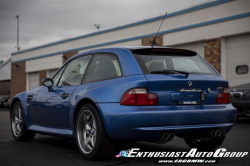 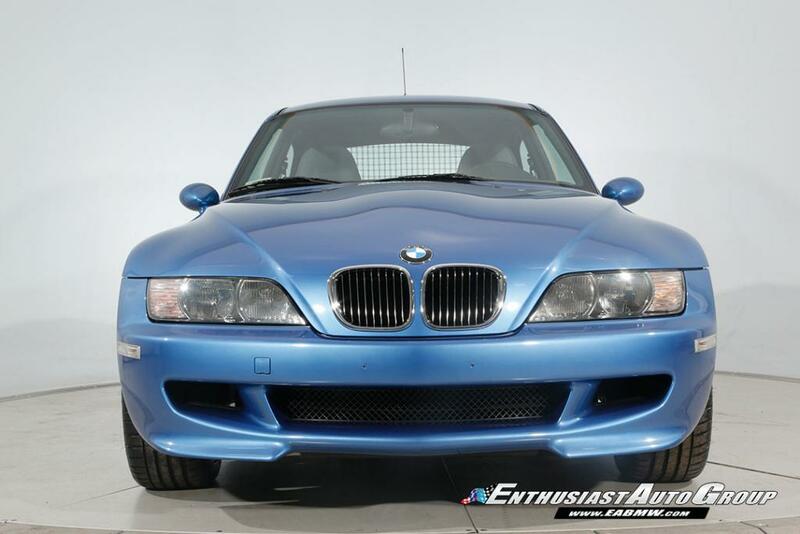 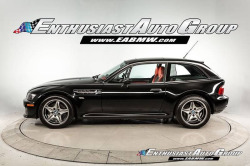 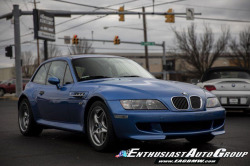 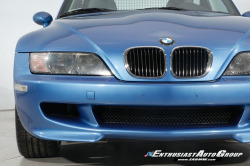 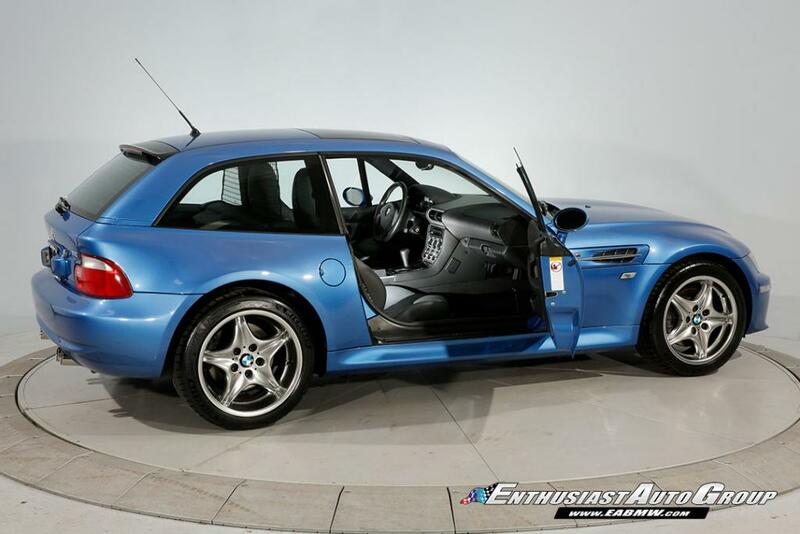 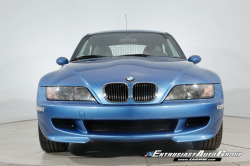 EAG has completed our Comprehensive Pre-Purchase Inspection and Work Order ensuring this M Coupe is a turn-key, needs-nothing car! 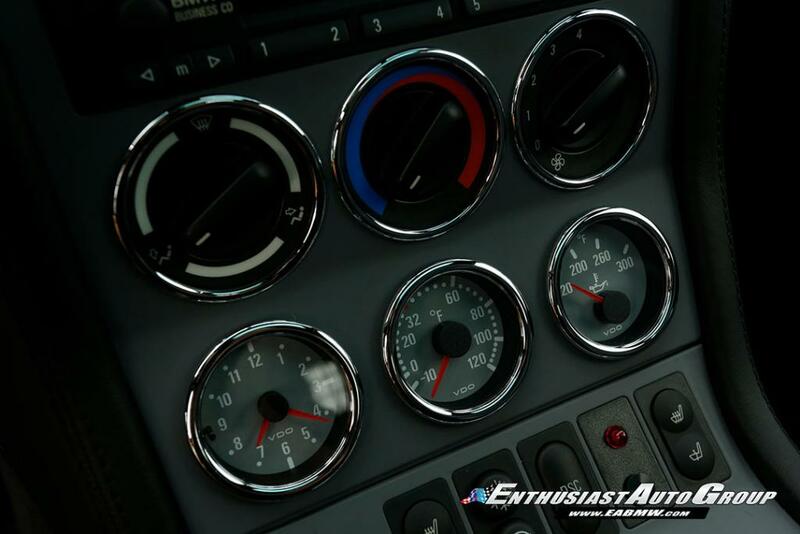 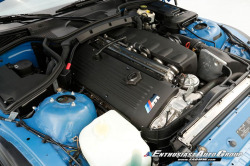 Service Highlights Include a Complete 10-year Service which includes: engine oil + filter change, transmission fluid change, differential fluid change, coolant flush, brake fluid flush, power steering fluid flush and fuel filter replacement. 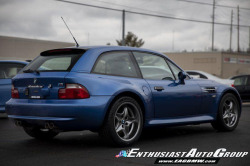 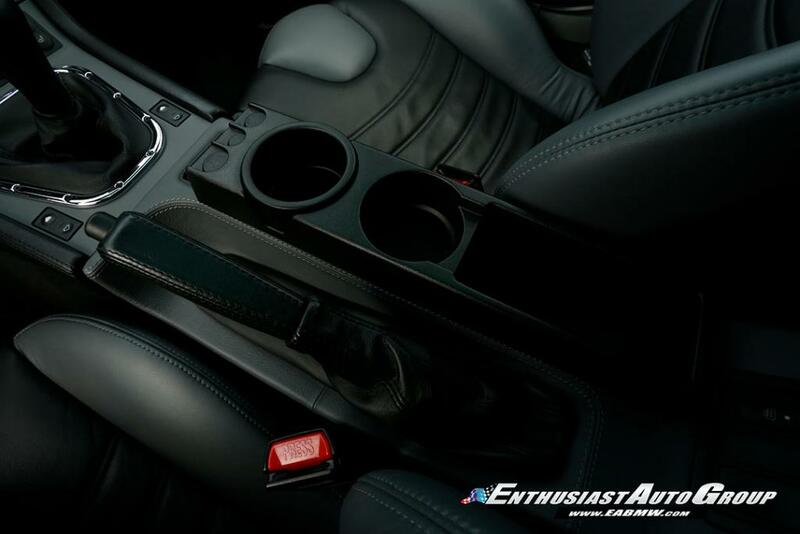 EAG has also replaced the rear shock mounts, both sets of seat bushings, glove box repair kit and mounted + road-force balanced new Michelin PS4 Sport tires. 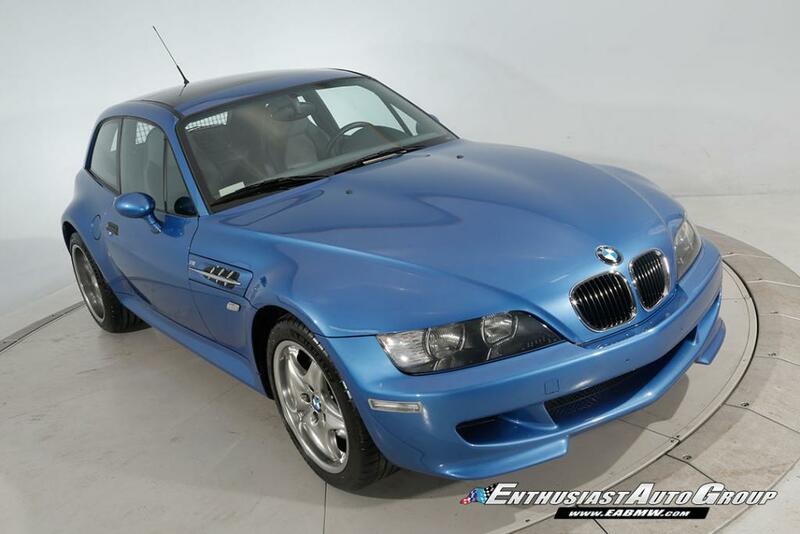 The late production M-Coupes are the most desirable and this example is a deserving collector car. 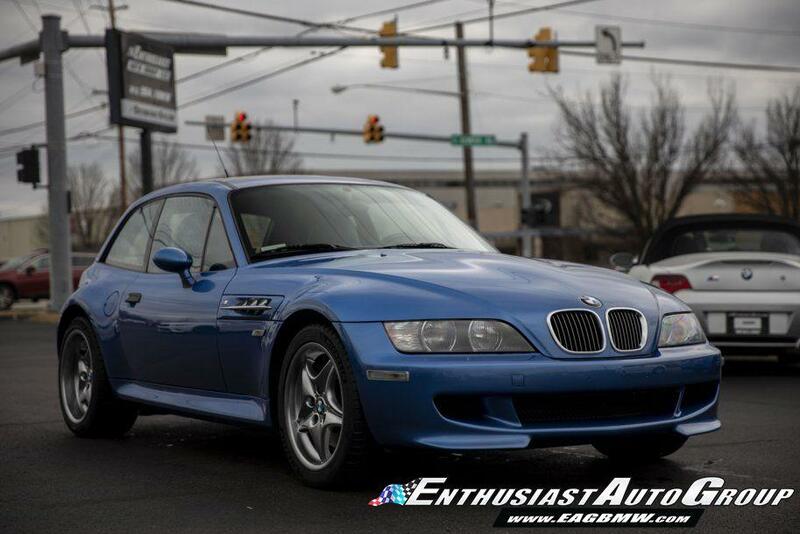 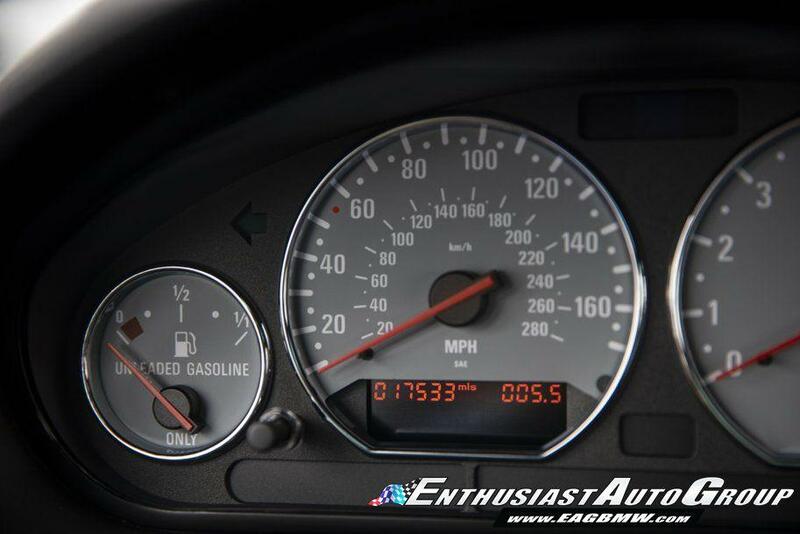 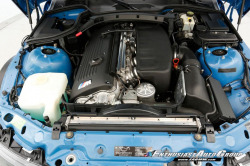 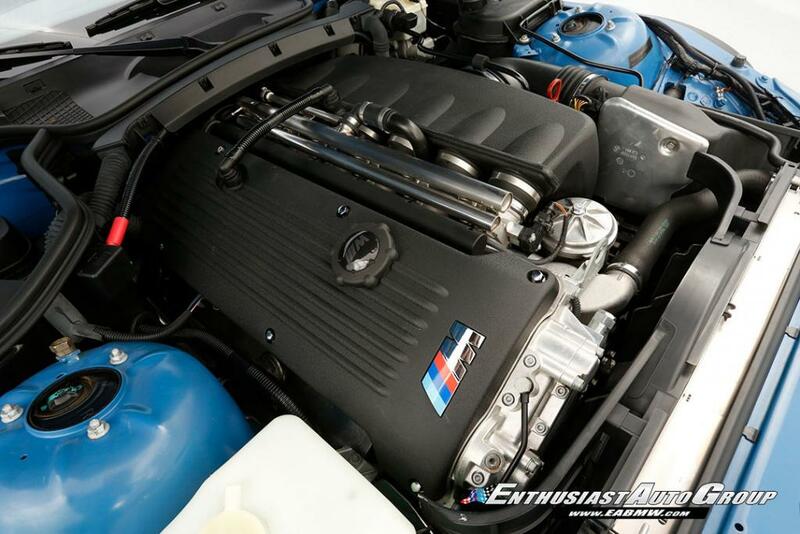 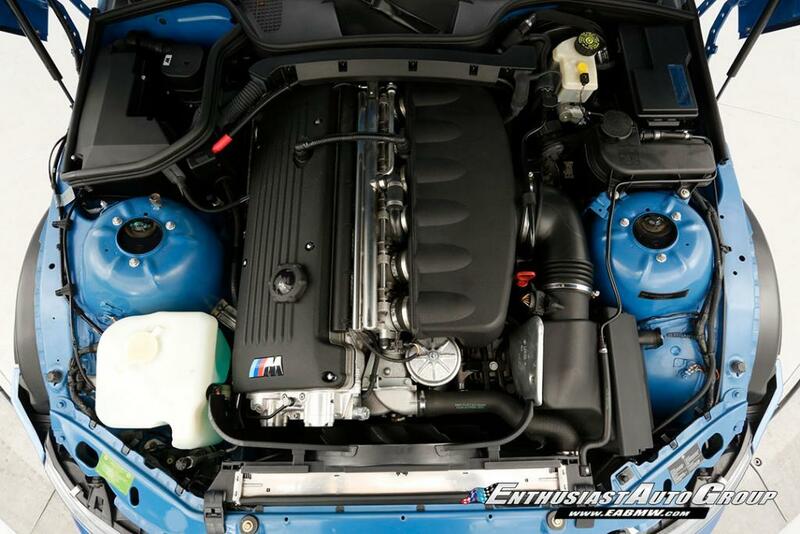 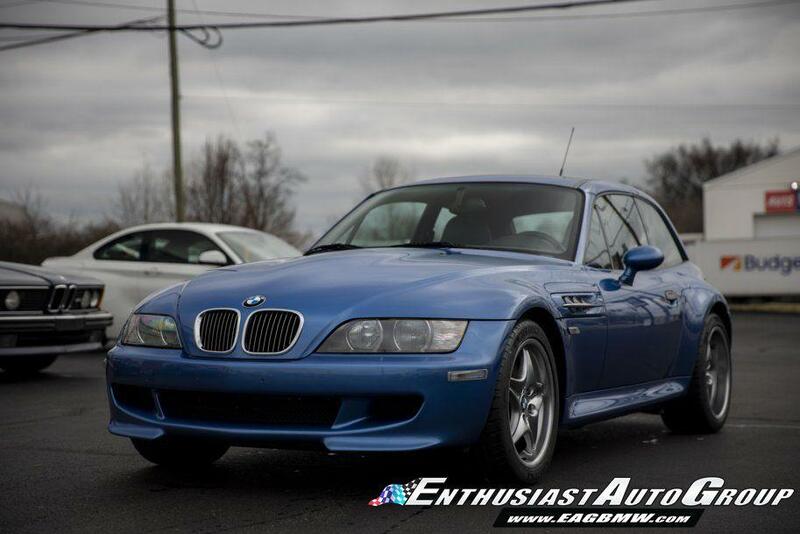 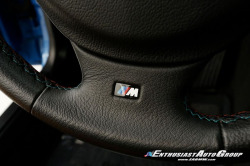 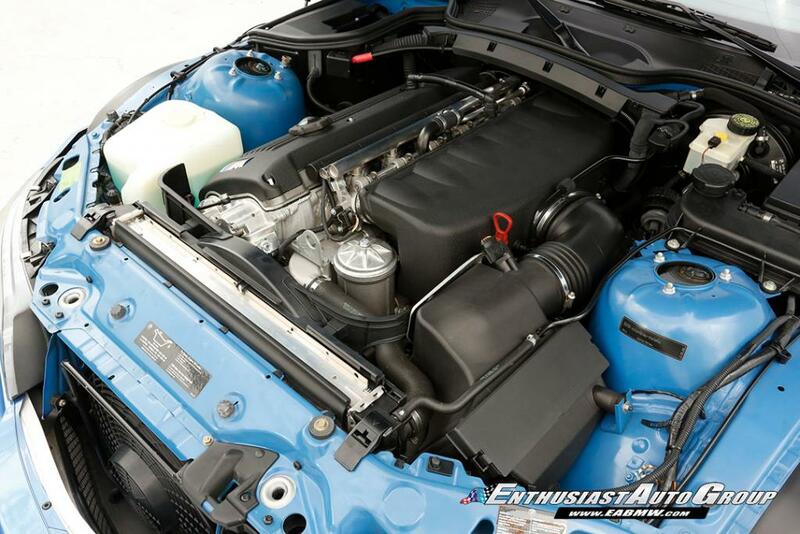 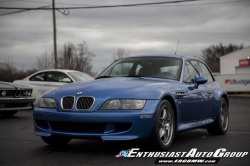 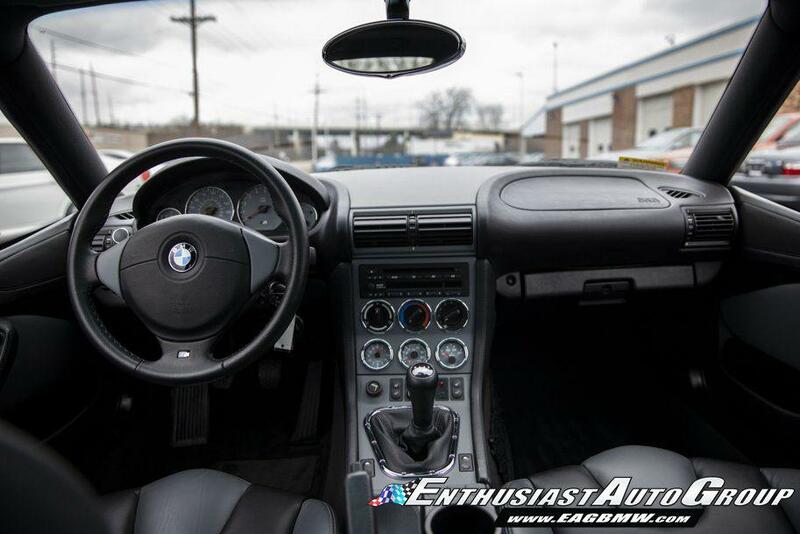 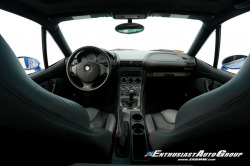 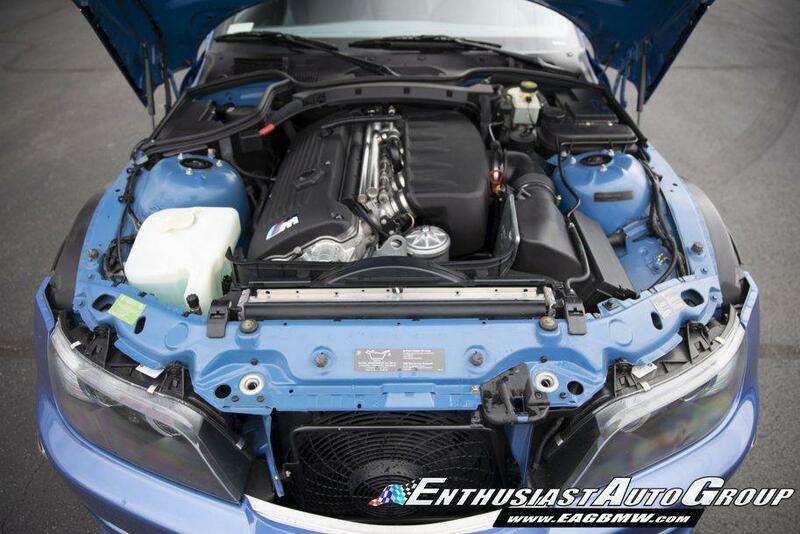 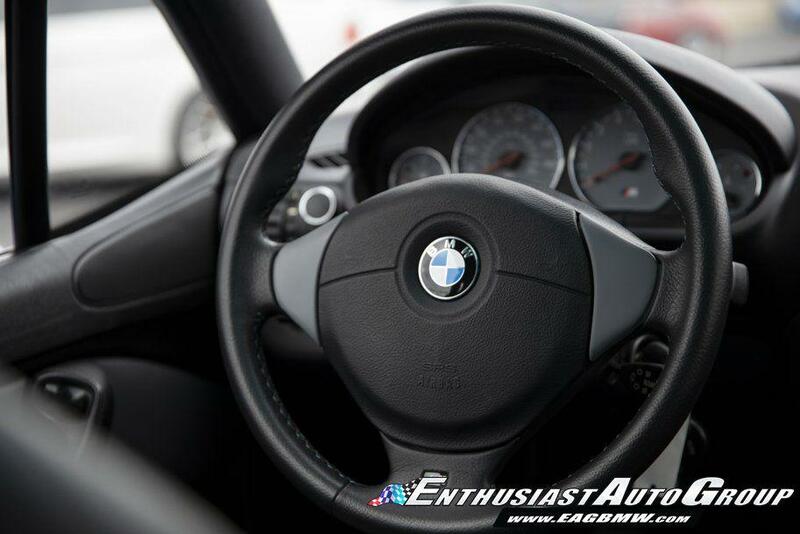 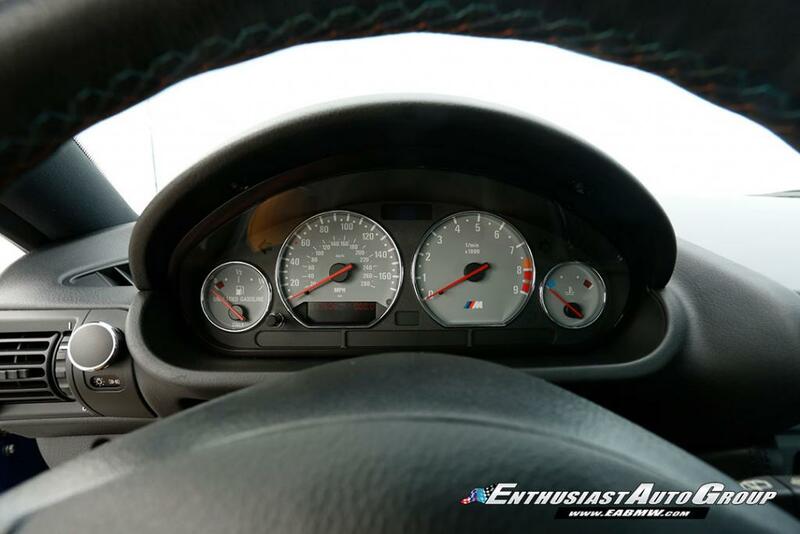 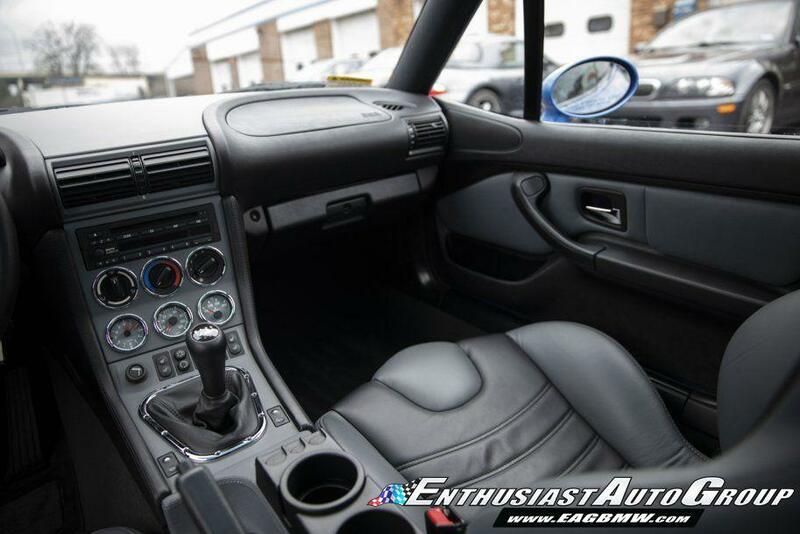 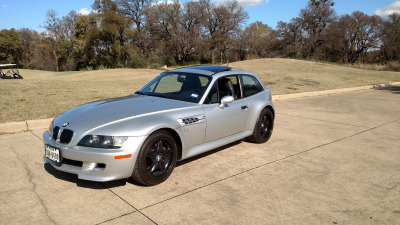 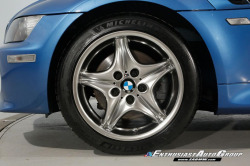 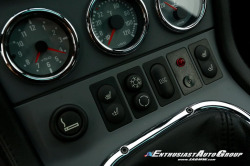 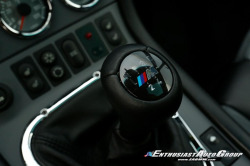 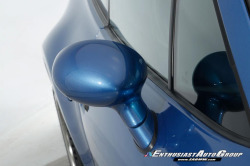 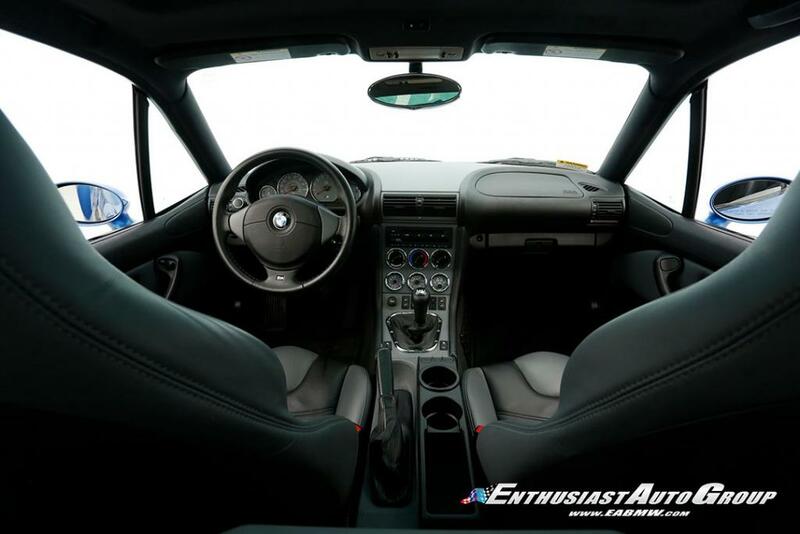 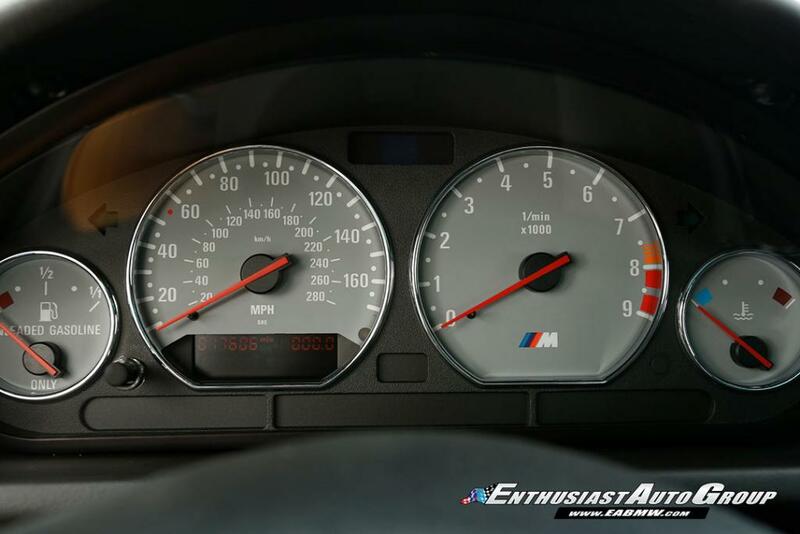 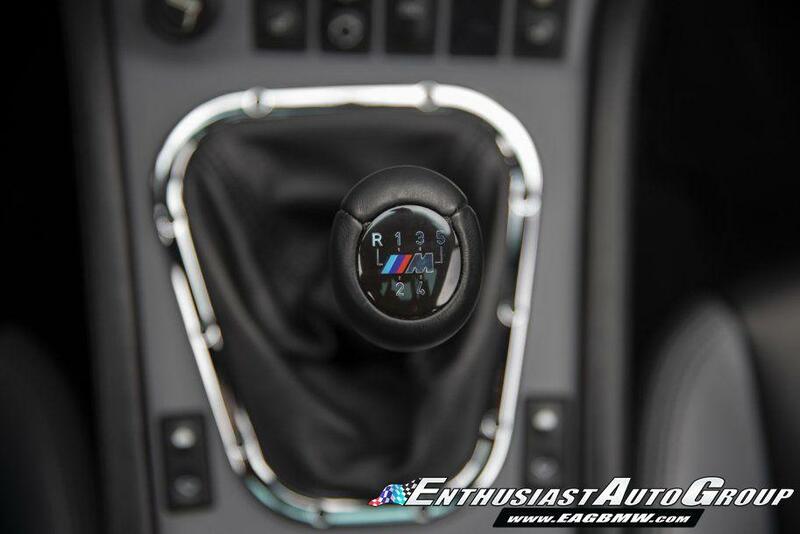 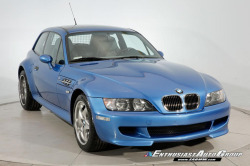 This final year Z3M-Coupe is one of the nicest M-Coupes in the world! 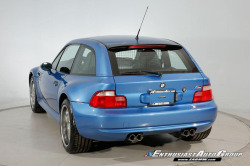 The rear sub-frame, differential mount and rear body structure has been fully inspected and is 100% intact without issue. Clean Vehicle History Report with No Accidents or Issues. 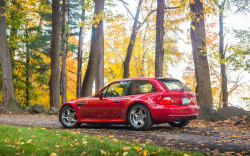 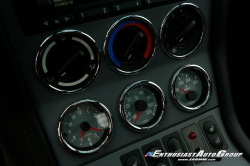 Added new photos. 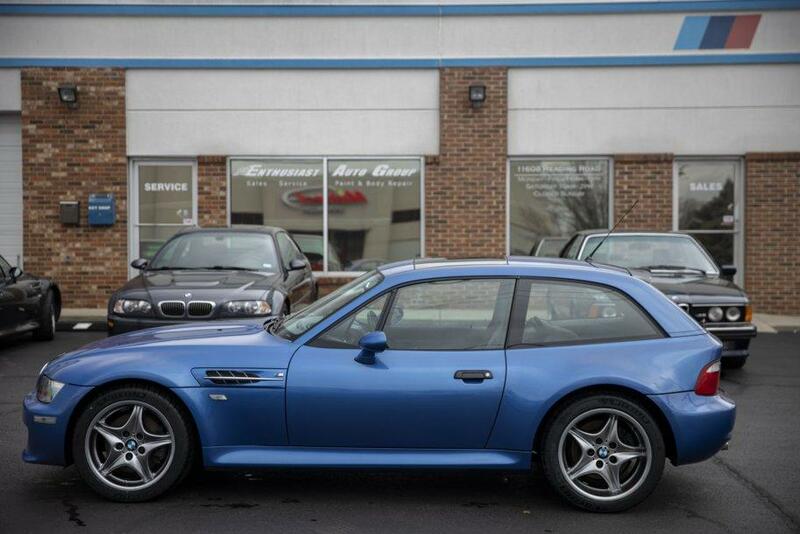 I confirmed this coupe was previously owned by the guy I bought my steel gray coupe from. 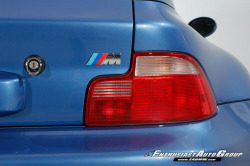 I had heard about it but never seen it. 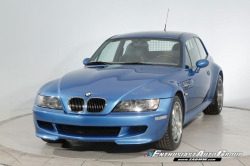 They've had this coupe as coming soon on their website, and I've been very excited for photos. 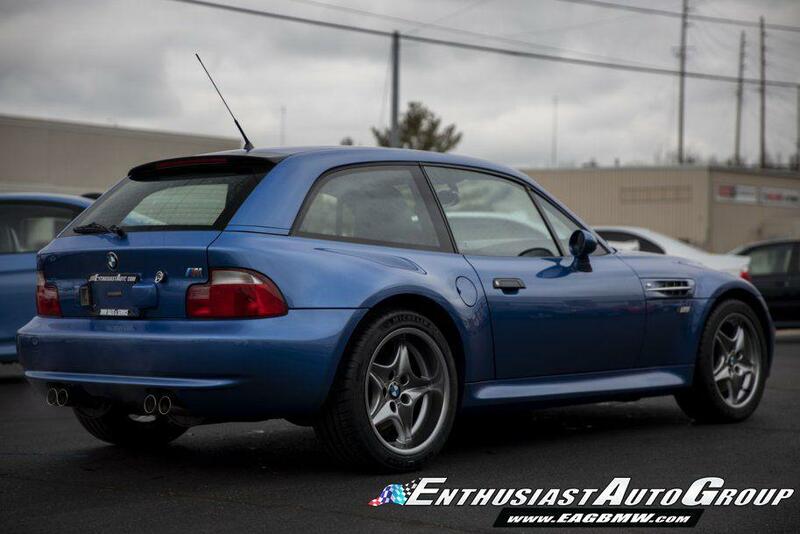 Estoril over gray is one of my personal favorite color combos. Besides the OEM Euro clear bumper lights, it looks pretty much as it did when it left the factory.